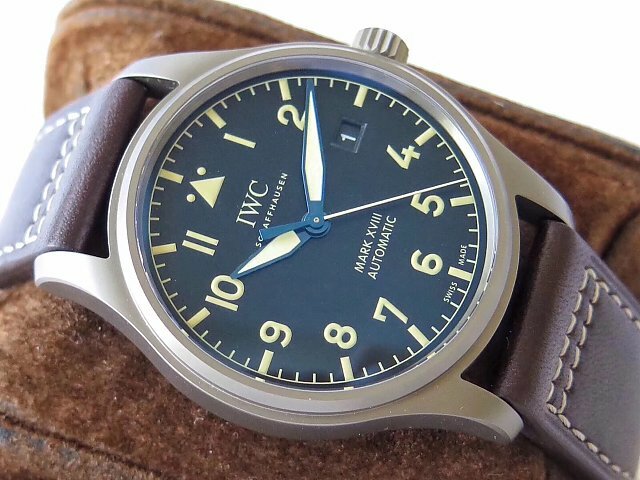 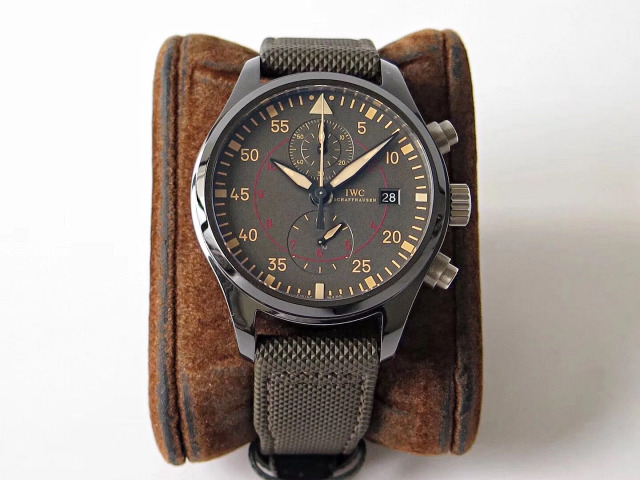 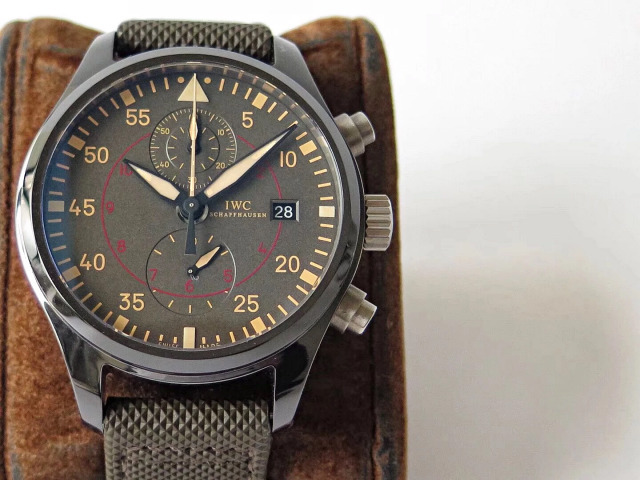 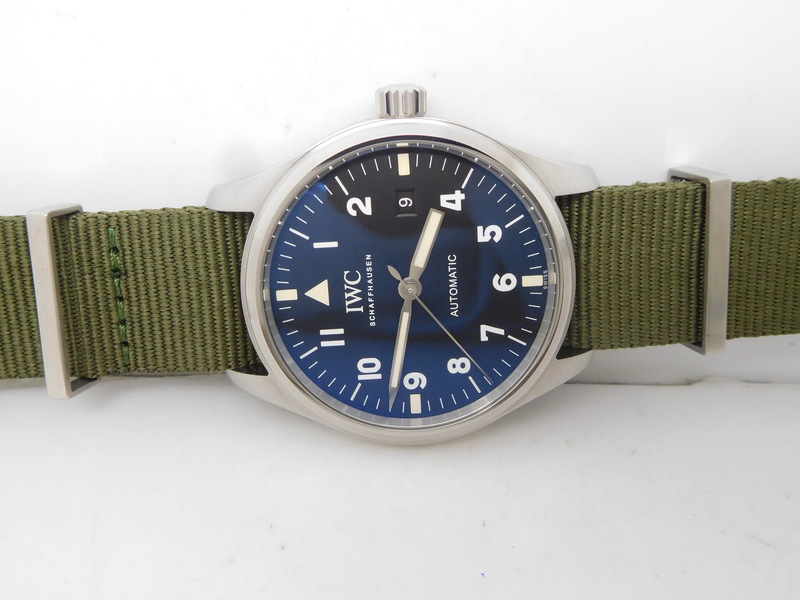 IWC Mark series was specially offered as a military watch in the past, now it has a lot of anniversary models. 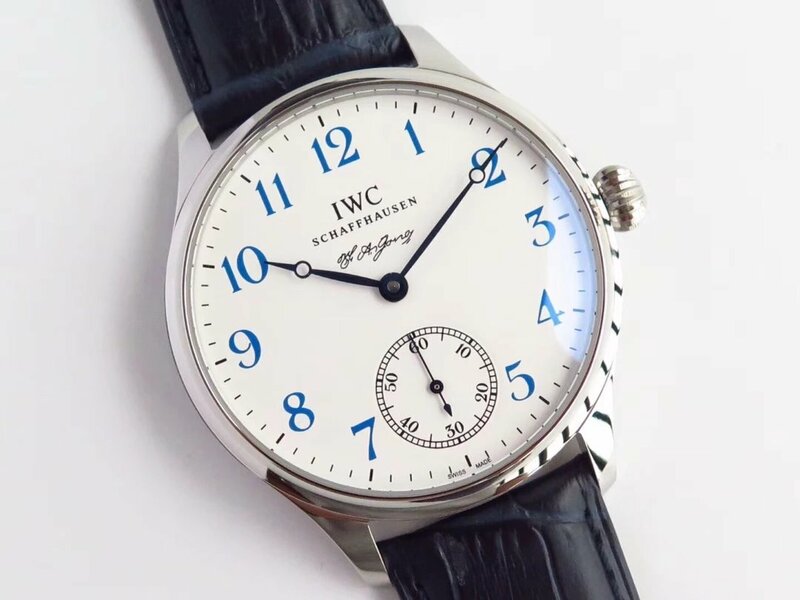 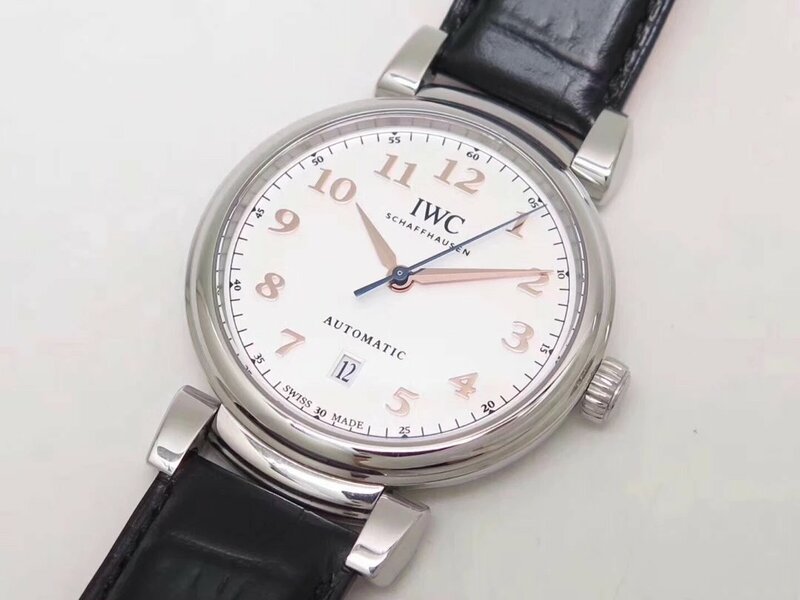 After almost one hundred years, the appearance of IWC Mark does not have too much change, its simple and elegant design is loved by many people. 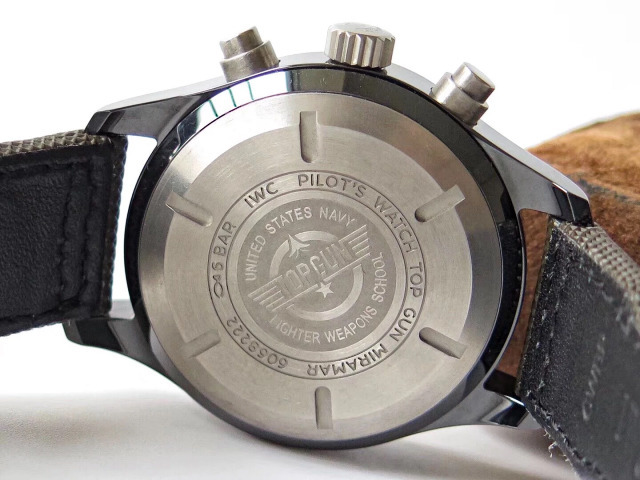 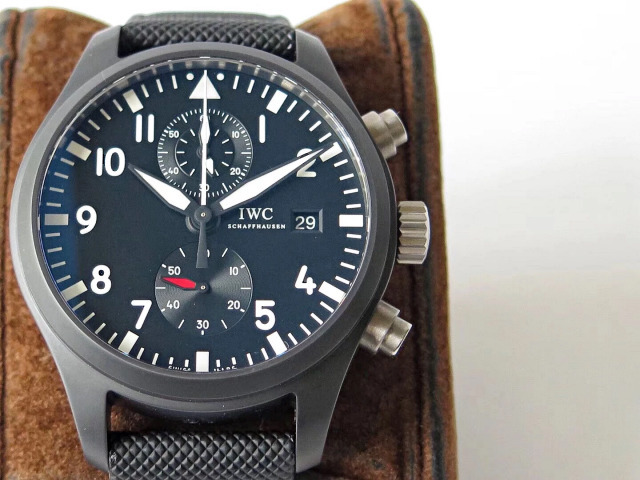 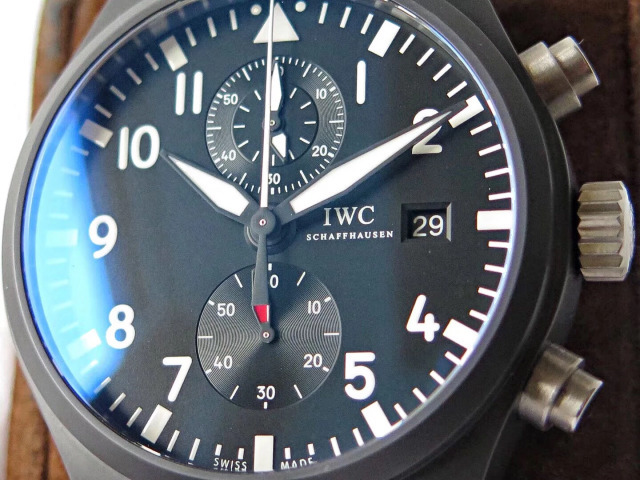 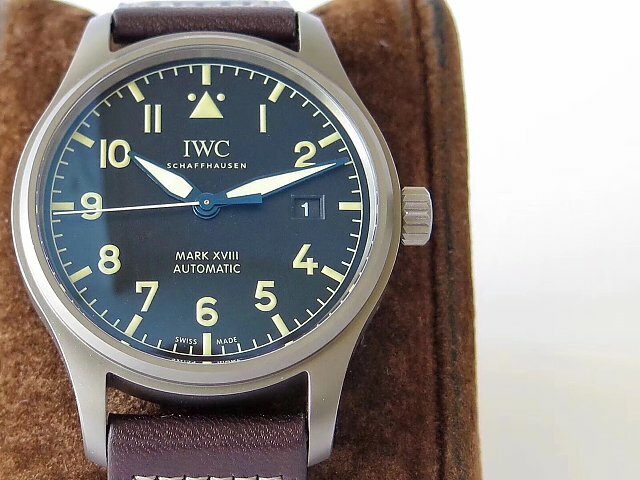 IWC Mark, which was exclusively supplied for the British Pilots, has left a lot of memories for us. 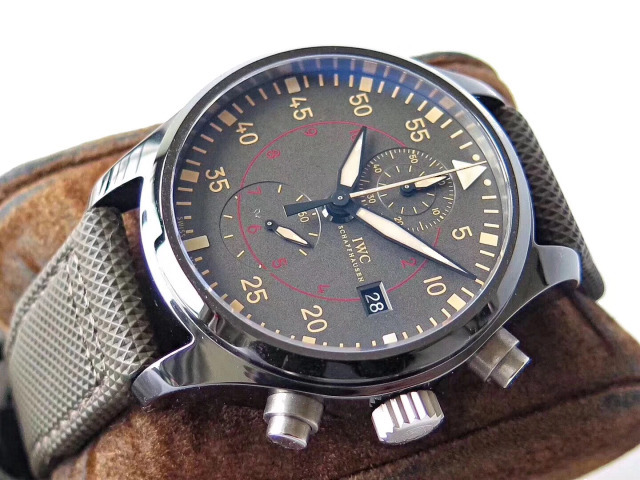 Also as a pilot watch, Breitling looks more professional, Zenith Pilot has more retro flavors, compared with them, IWC Mark is more practical, classic and durable. 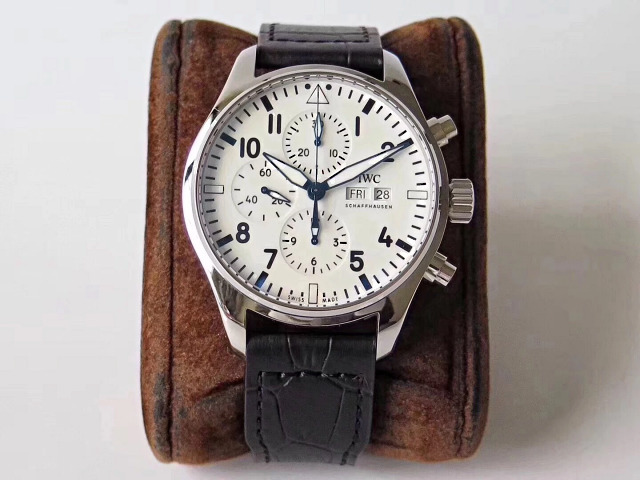 GS is a factory that only made some ladies watches in the past, the Longines PrimaLuna replica they made has a good quality. 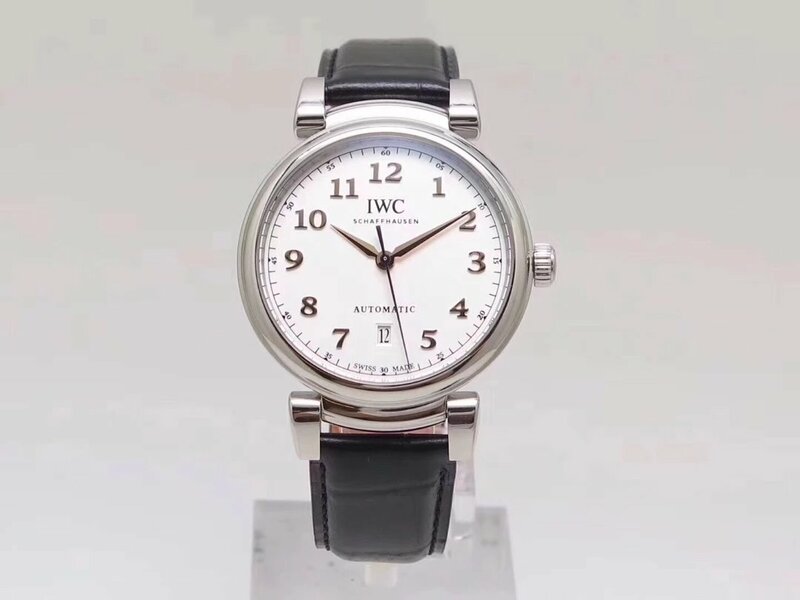 About this IWC Mark XVIII IW327006 replica, two factories are making it, GS and V7. 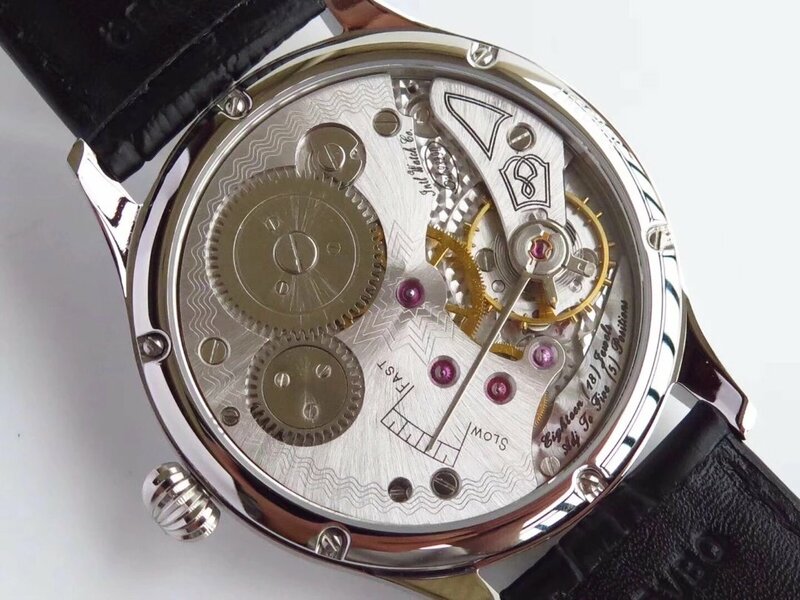 In machine, V7 installs a genuine ETA 2892, but the price is expensive. 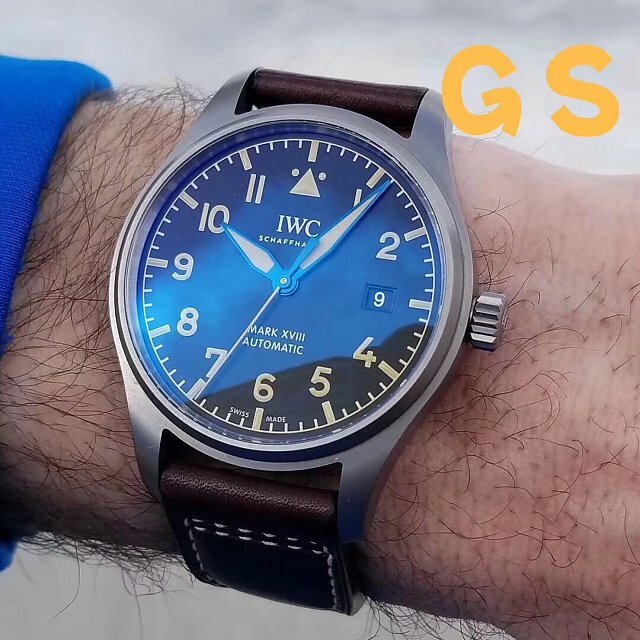 GS factory uses an Asian clone ETA 2892 movement inside the replica, it is based on our Sea-Gull 2892, so the replica has a cheaper price, more cost-effective than V7’s. 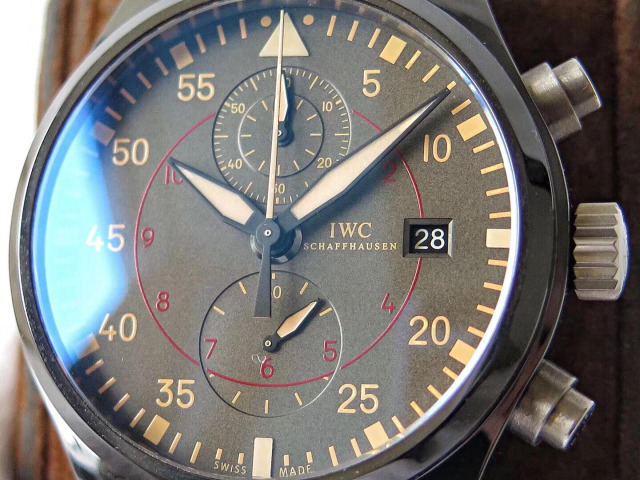 Before we go a deep review of replica IWC Mark XVIII Titanium Watch, let’s check its specification first. 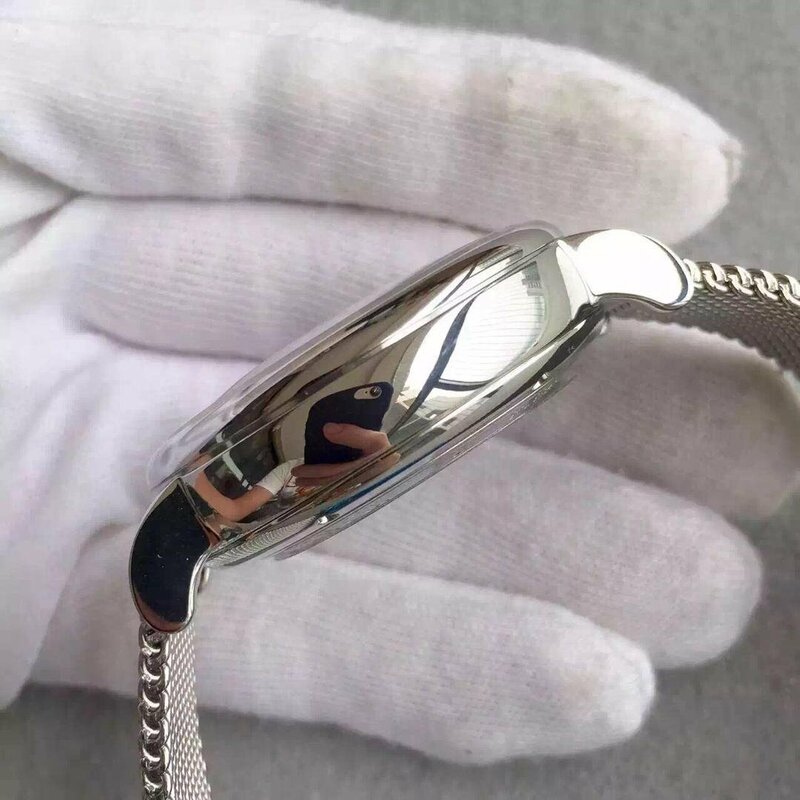 The case is made of high grade Titanium, compared with 316L stainless steel, Titanium has a better performance of scratch and corrosion resistance, Titanium case reduces the whole weight of the replica watch, it is more comfortable for daily wear. 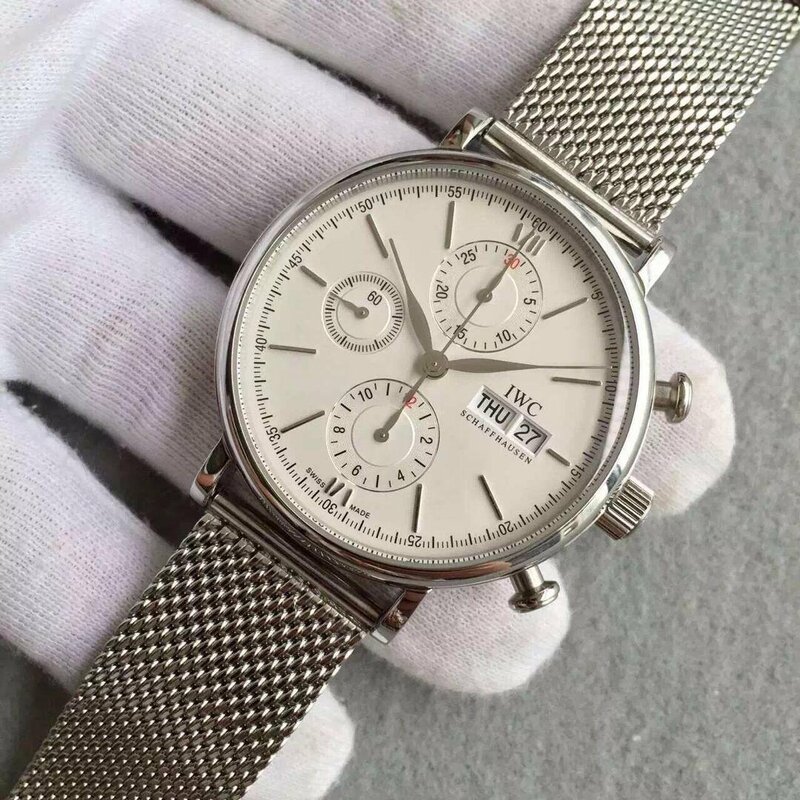 Put this replica besides a genuine watch, you can not tell which one is replica. 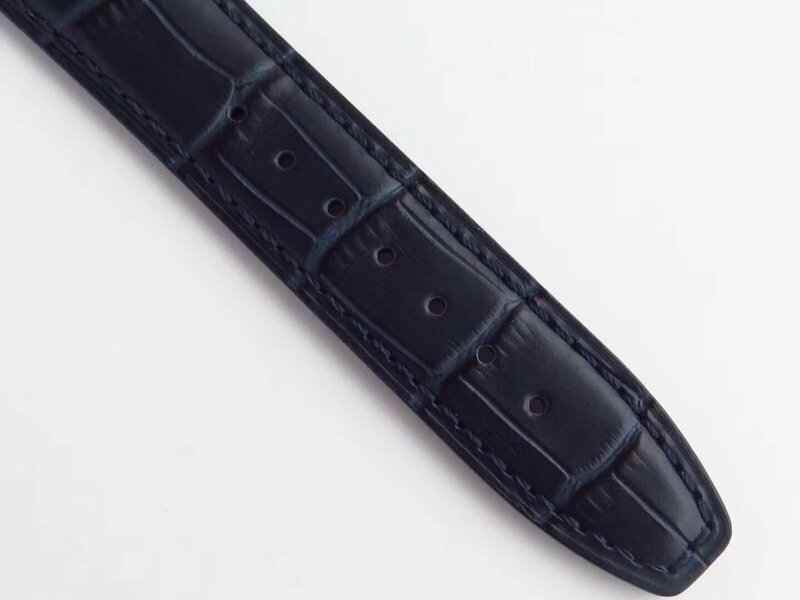 40mm case has the same size as genuine, sapphire crystal face has a good reflective effect, high quality calf skin leather band and hand stitching have no difference. 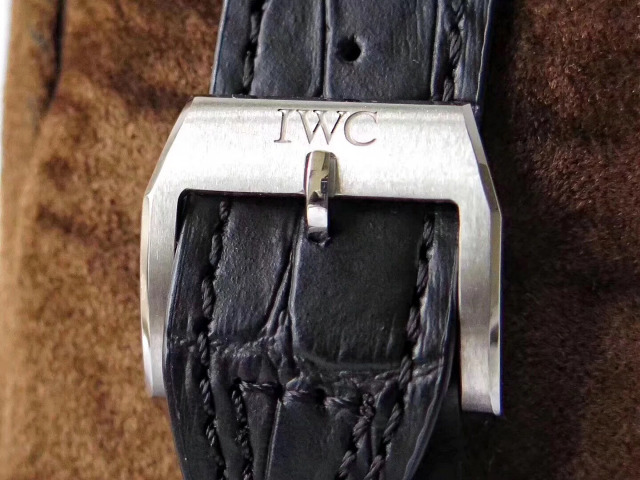 On brown dial, each detail is very close to genuine, cream yellow Arabic hour markers are three-dimensional and plump. 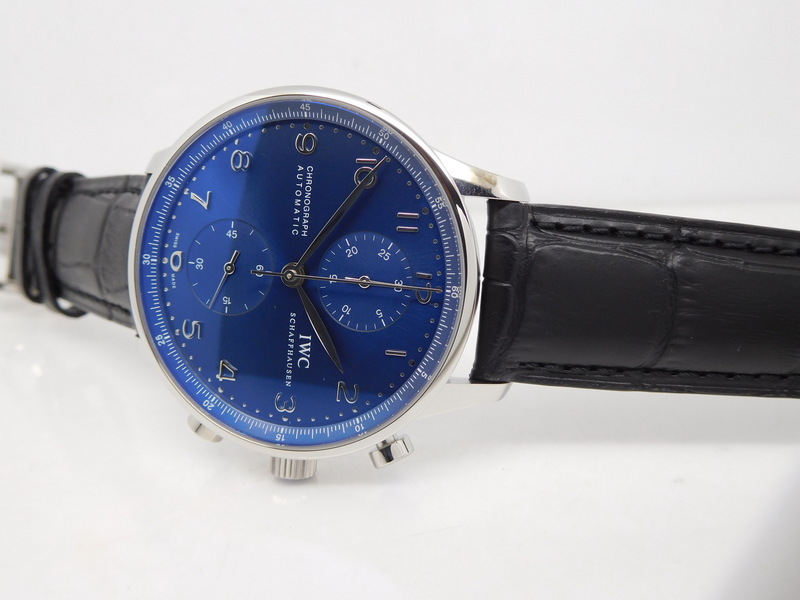 Blue steel hour and minute hands are wide, they are applied with luminous material, so are hour markers. 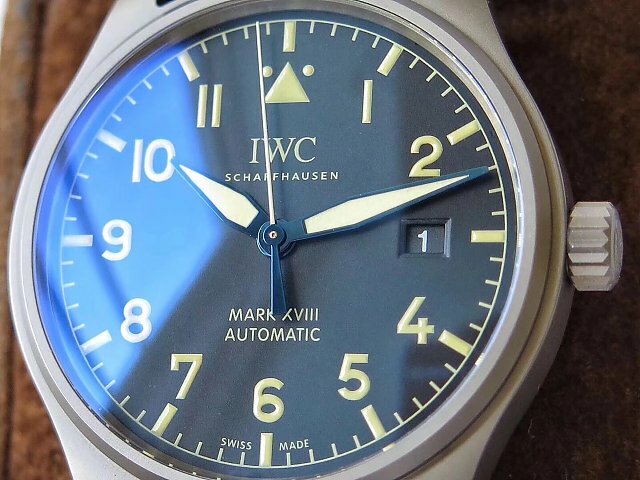 The dial has a perfect lume effect at night. 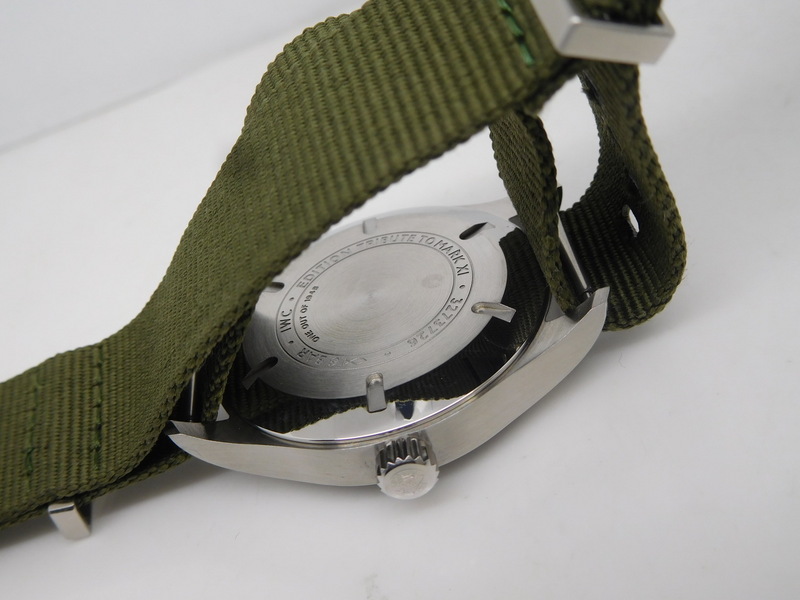 The Lume light is green and lasts for a long time. 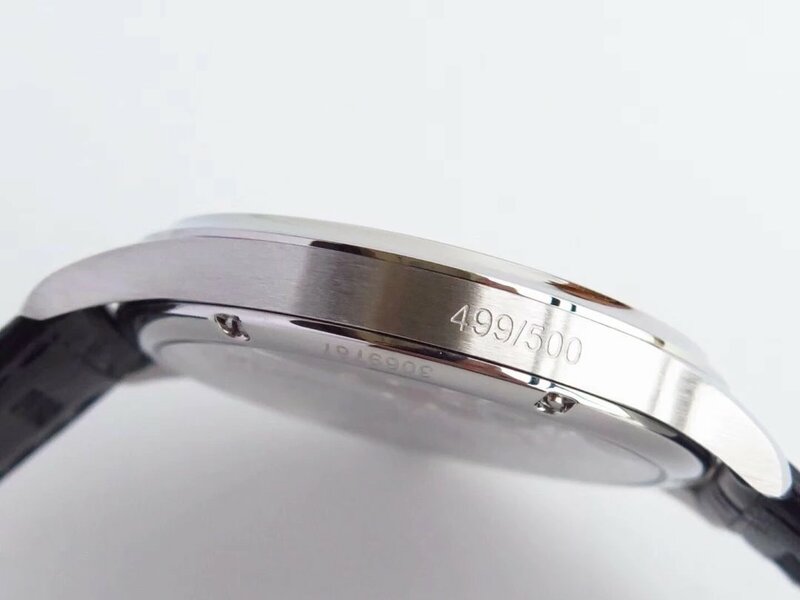 At 3 o’clock, date is displayed through a small square window, date font is white and has the correct thickness. 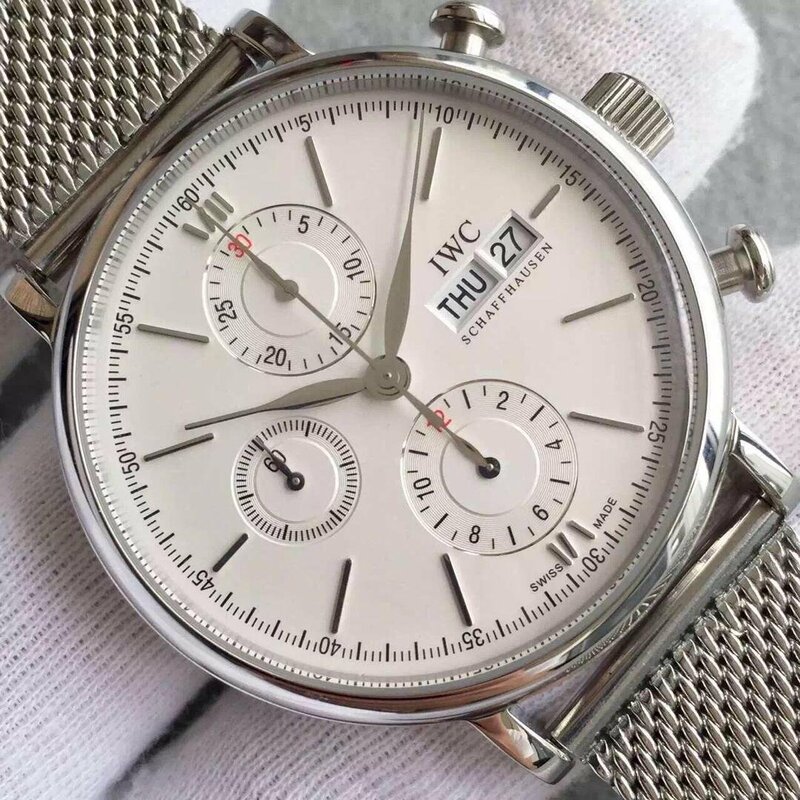 More important, the date font is centered in the window, not too right or too left. 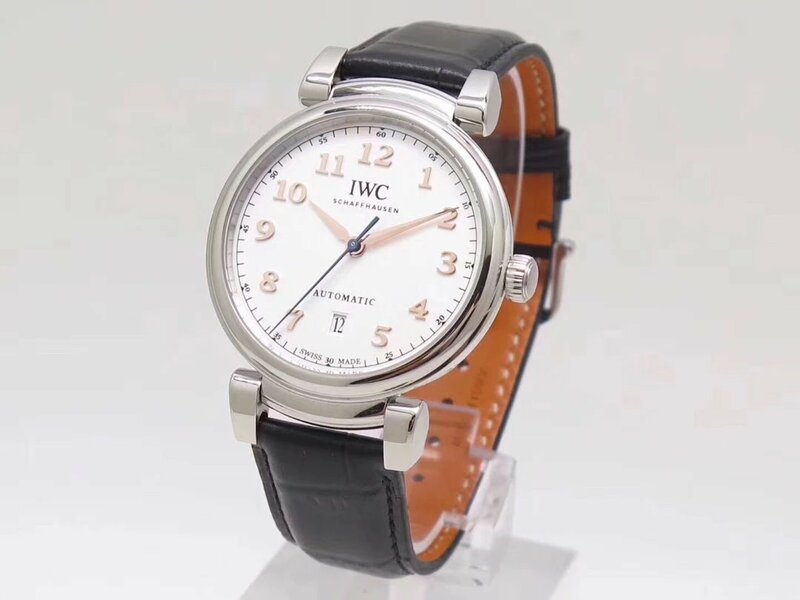 Genuine IW327006 titanium watch is equipped with IW35111 in-house movement, which is actually developed from Swiss ETA 2892. 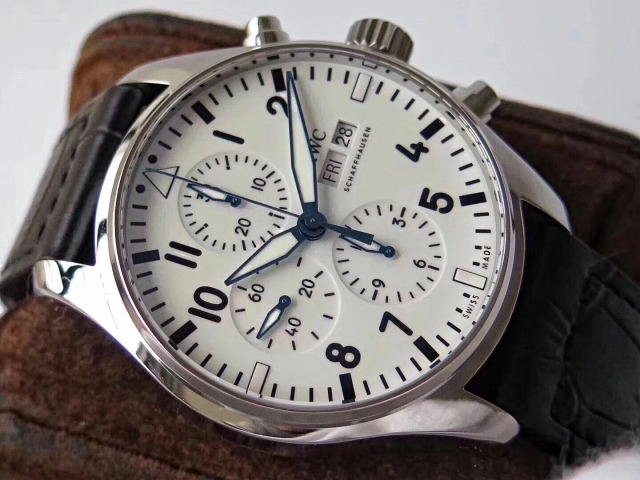 The replica uses a Sea-Gull 2892, which has the same construction as ETA 2892, maybe the decoration on rotor and movement plate is different, but the watch has a solid case back, so I do not care the decoration, as long as it is stable. 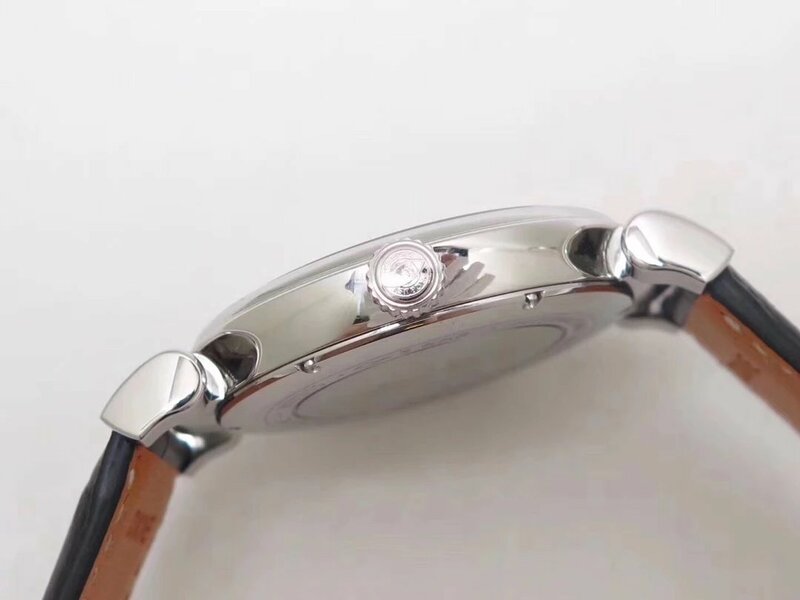 Absolutely if you do care about the subtle details, you can install one genuine ETA 2892 inside the replica by yourself, it is easy. 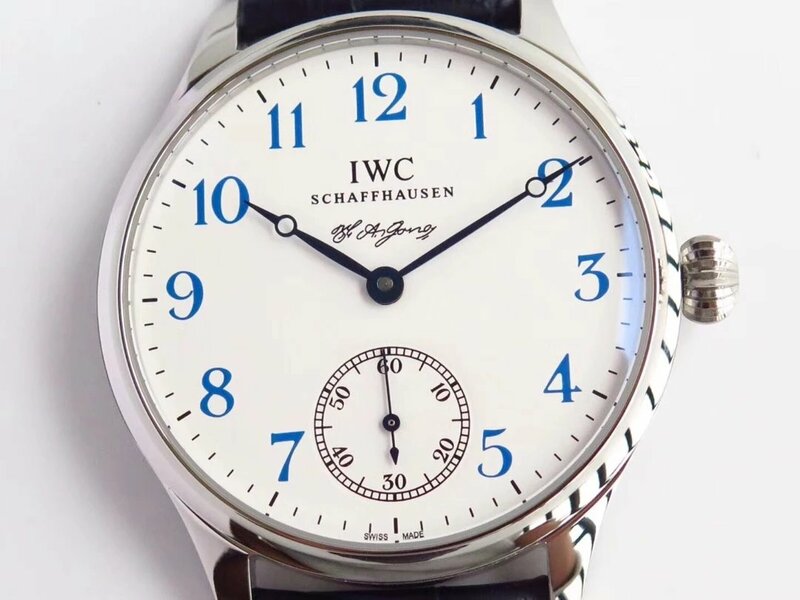 The improved Sea-Gull 2892 movement of the replica has the same winding feel, its date adjusting direction is also correct. 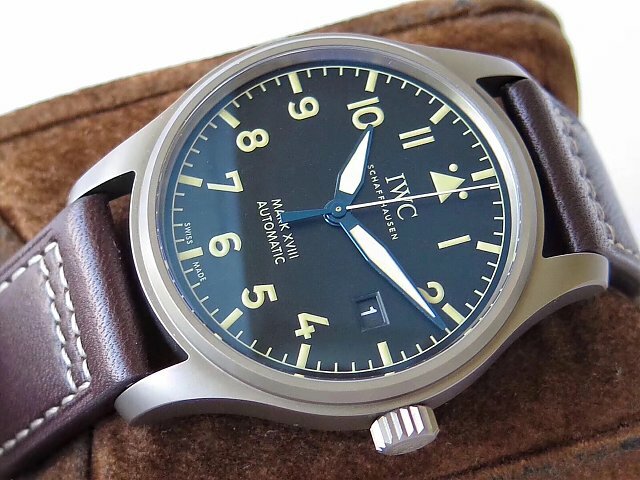 Compared with other common IWC Mark series models, this Mark XVIII titanium watch is very outstanding. 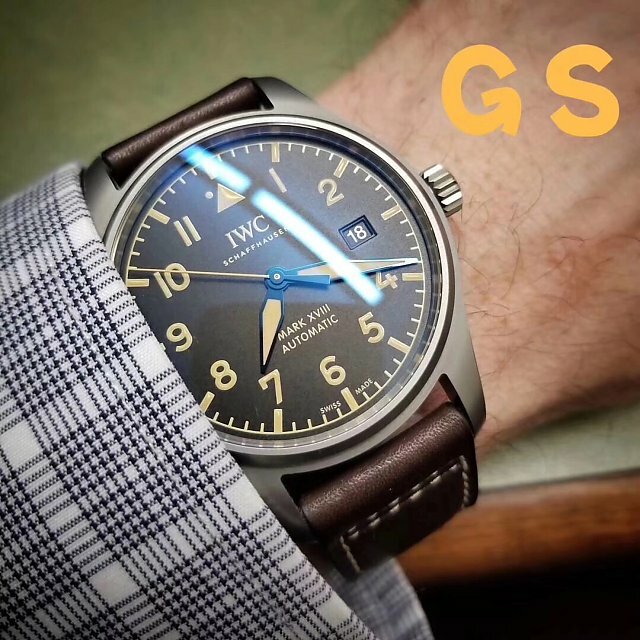 Grey Titanium case, track-style minutes markers, brown dial and brown leather straps, these elements make the watch full of vintage flavor. 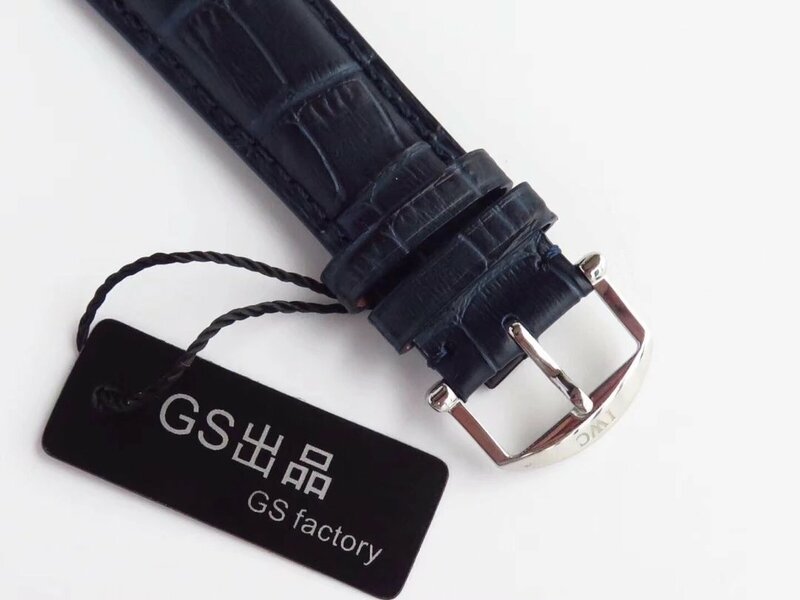 The replica is a really a big surprise from GS factory. 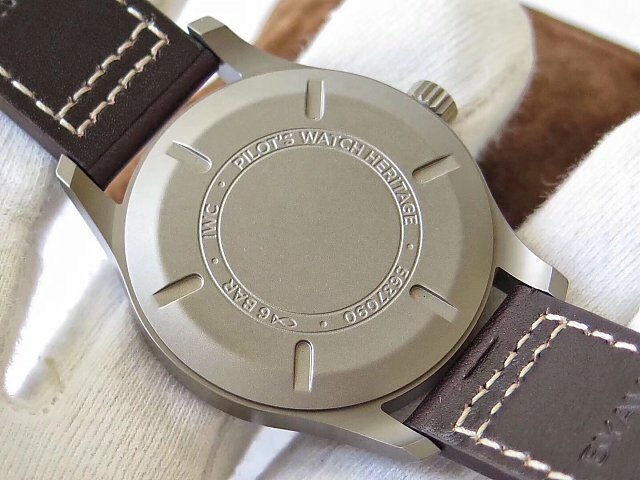 I always love watches with simple design. 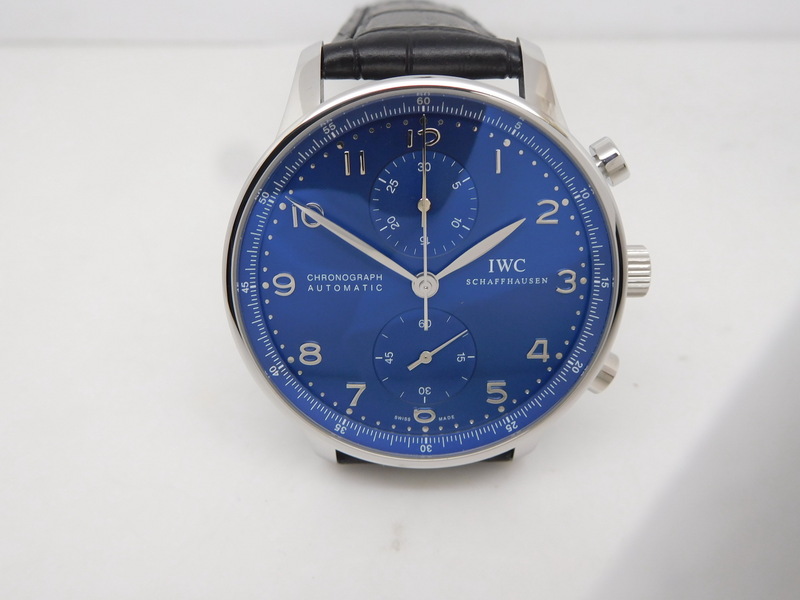 So IWC Portofino and Portuguese will be my first choice when selecting one as my dress watch. 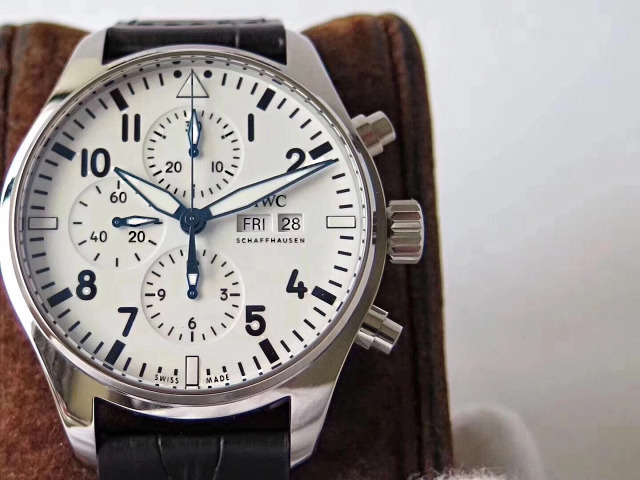 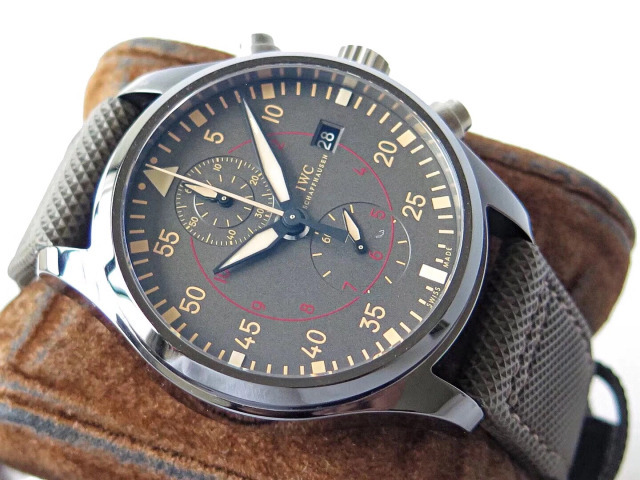 3A is an old factory, they are the first manufacturer who makes the highest quality IWC Portuguese Chrono replica watches. 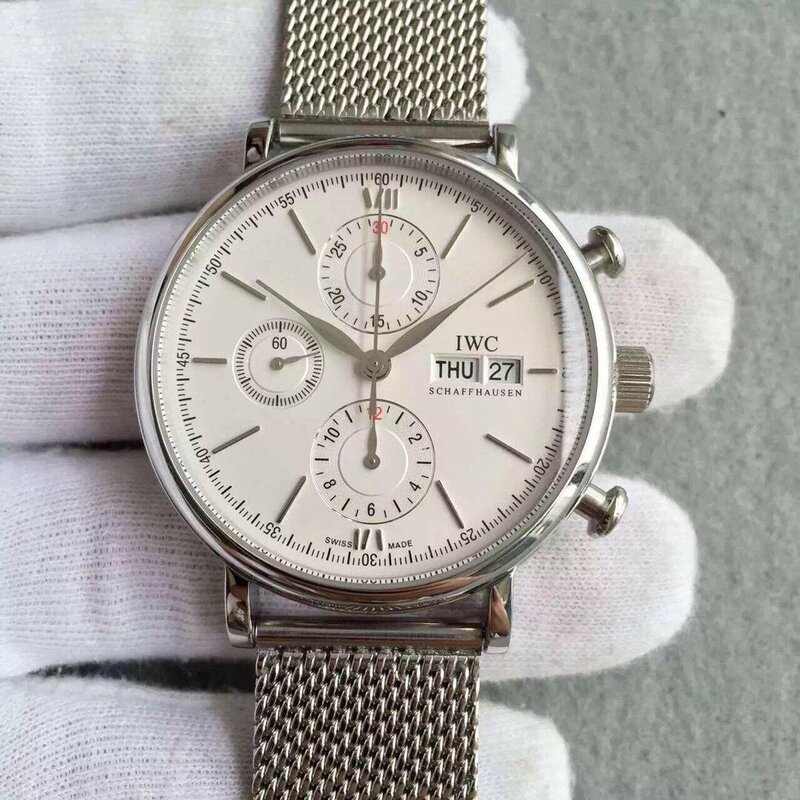 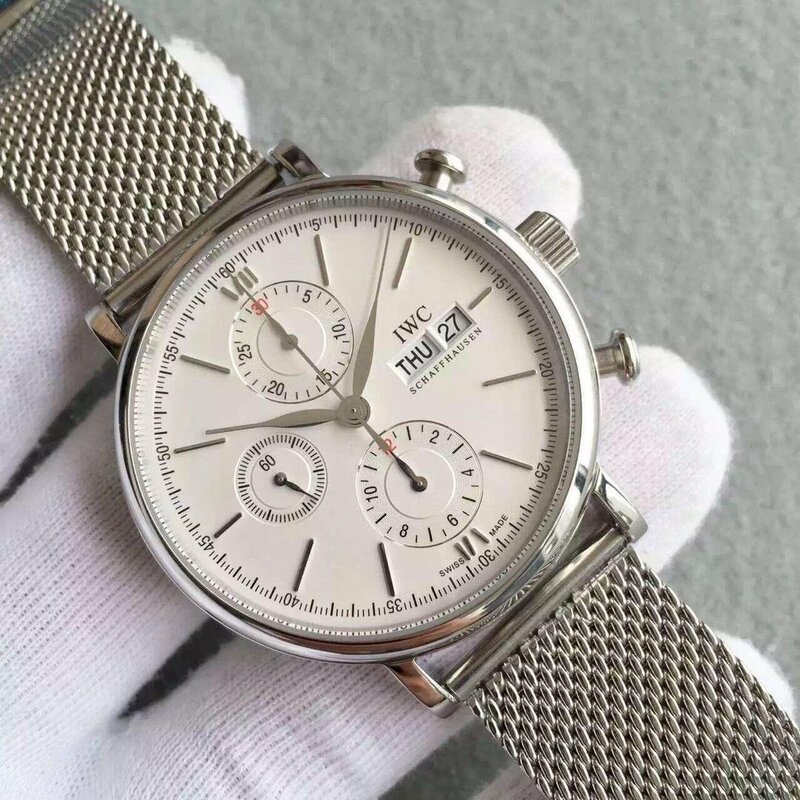 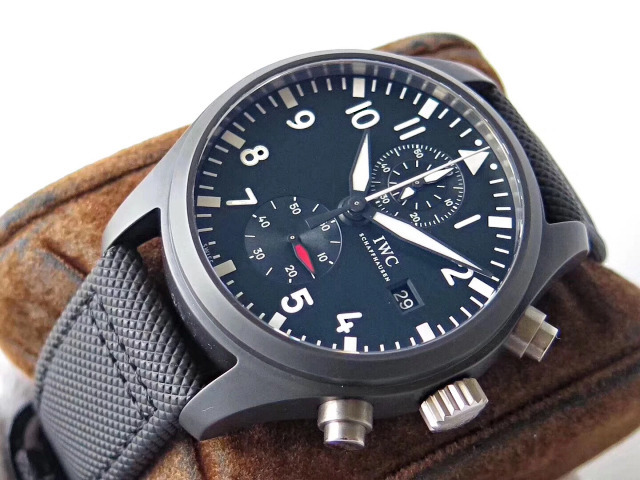 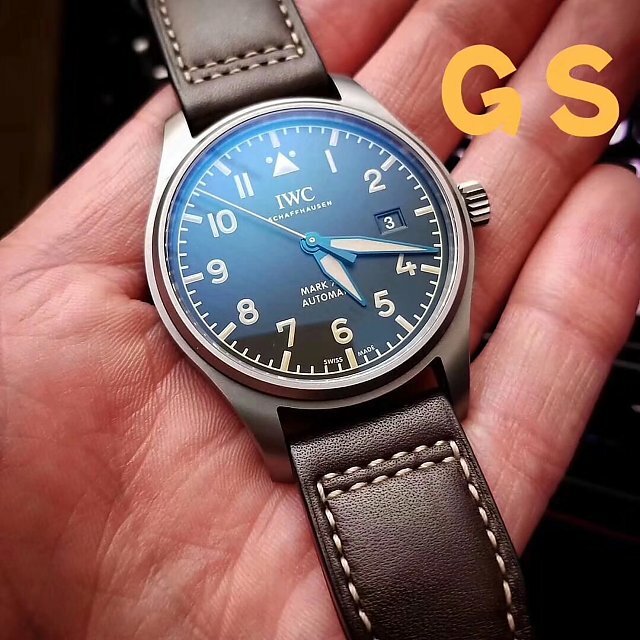 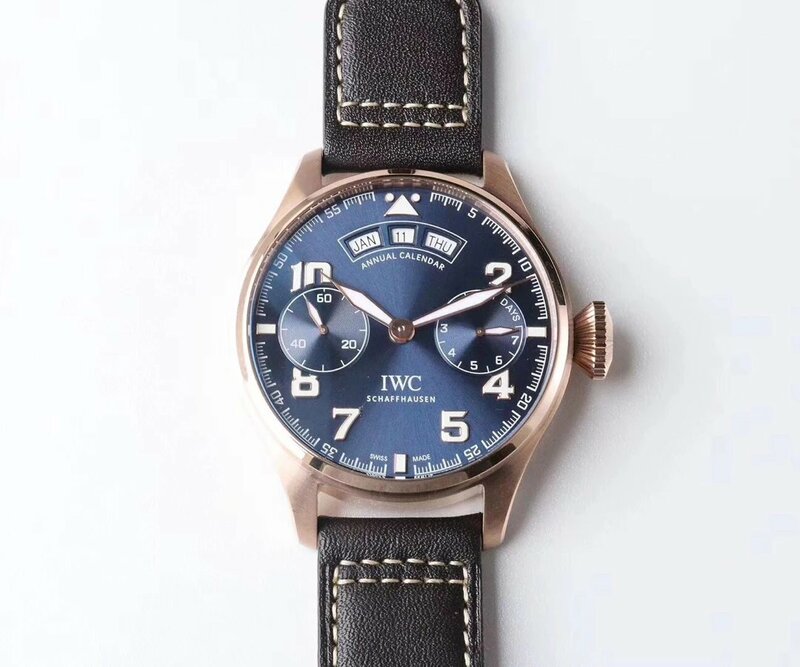 Although some factories like ZF make better quality IWC replicas than 3A, A lot of buyers today are still seeking for IWC products from 3A. 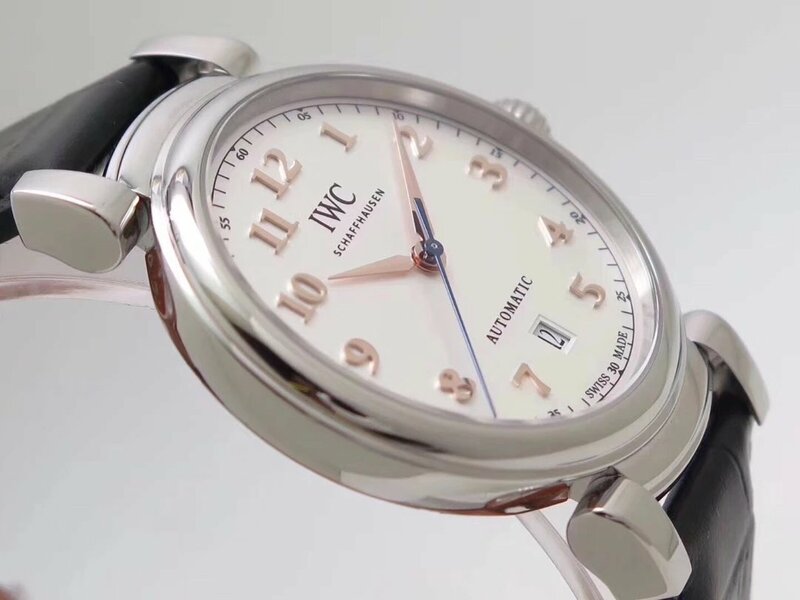 Today, I will introduce a replica IWC Portofino watch that has a clean and fresh design. 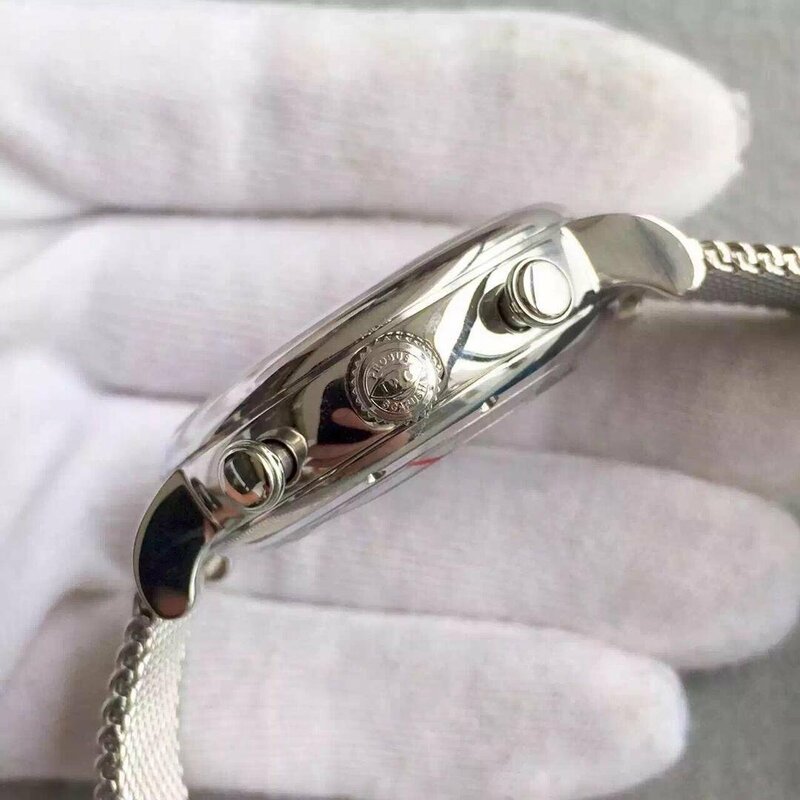 When I saw this watch in our market store, I was attracted by its beautiful formal outlook, and I brought it here to share with you guys. 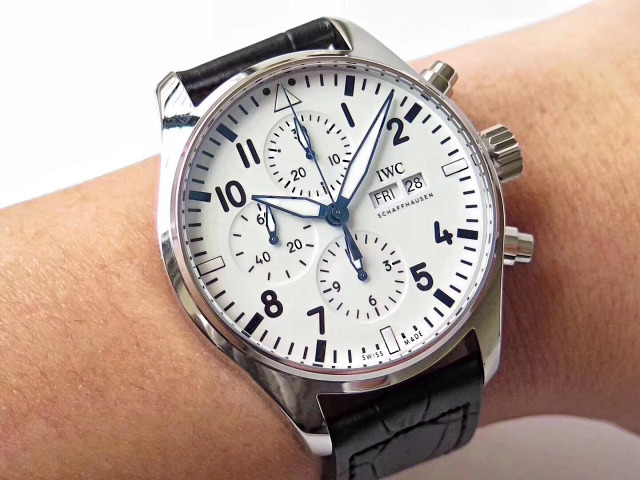 First, the replica IWC is silver white in whole appearance. 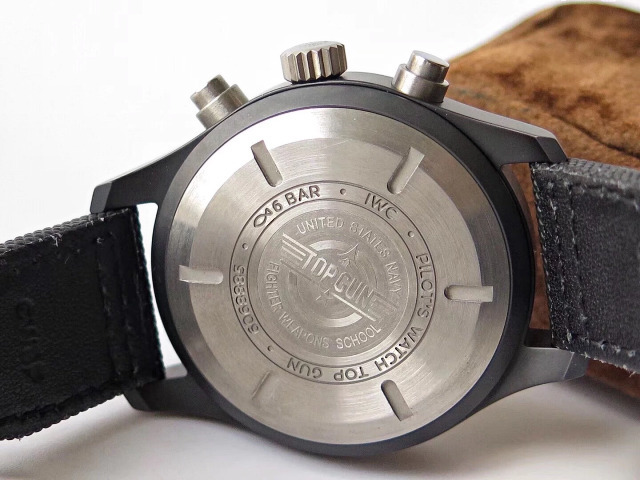 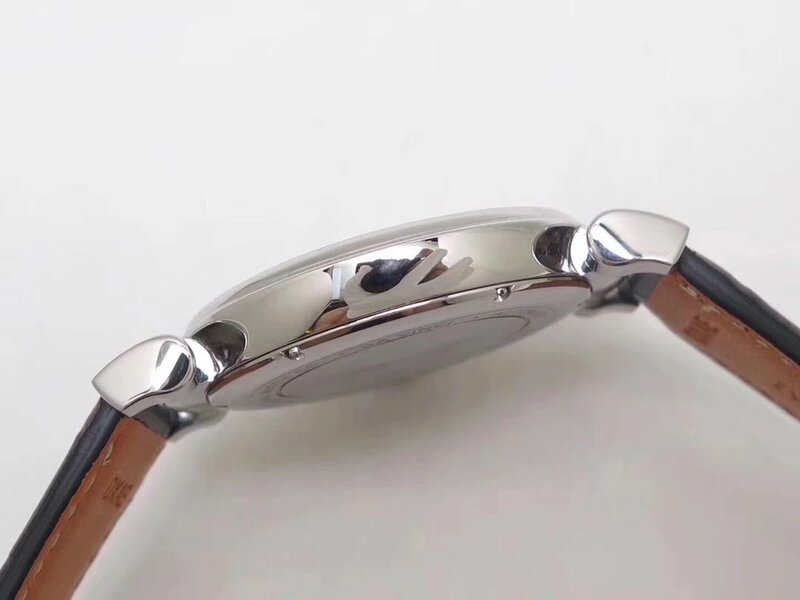 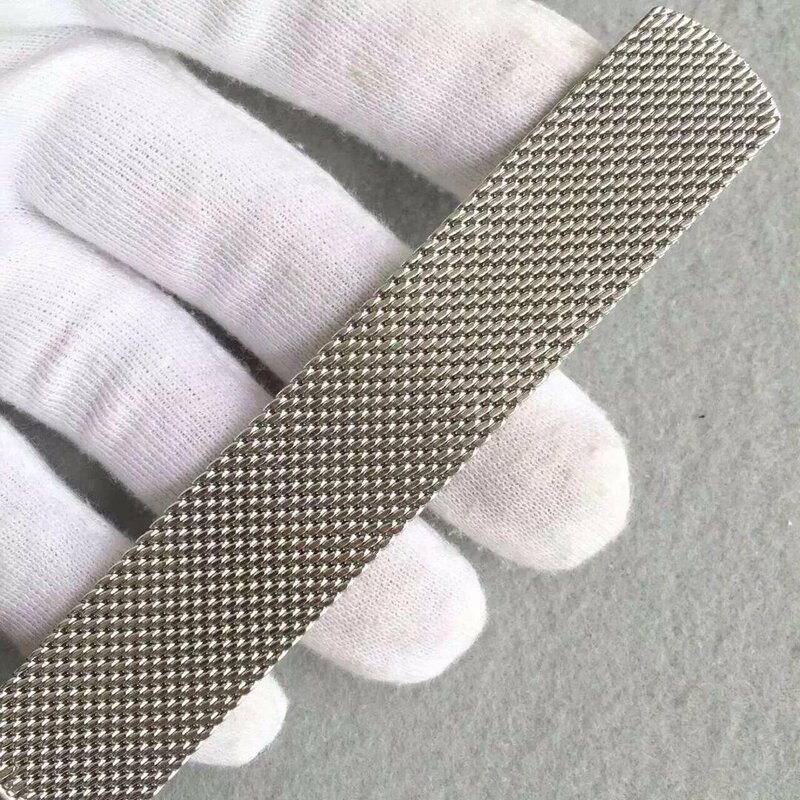 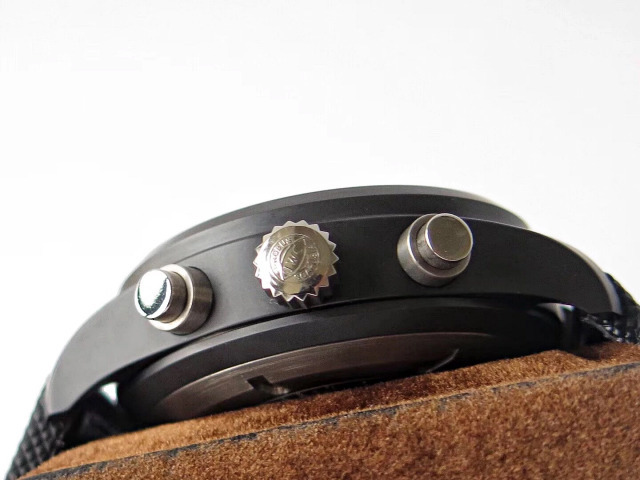 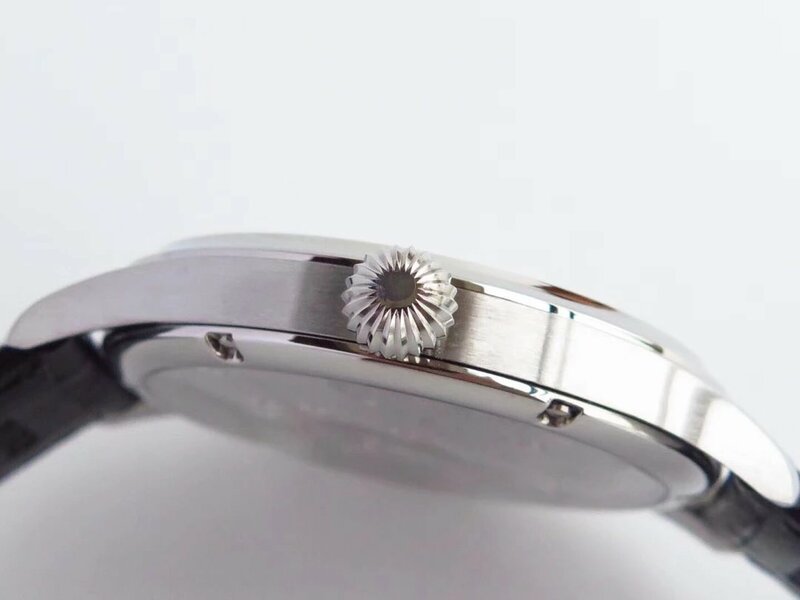 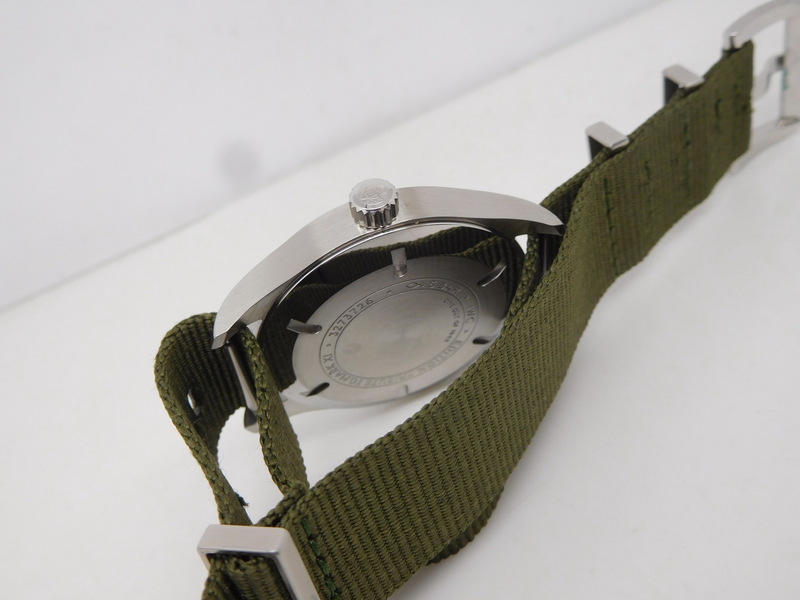 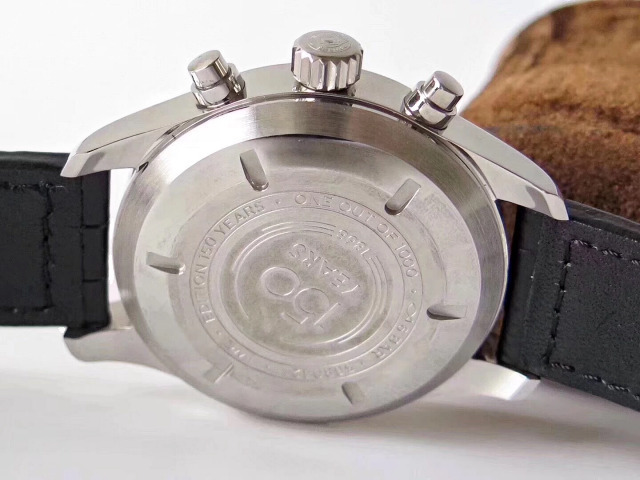 316L stainless steel is used to make the case and bracelet, the case is measured to be 42mm in diameter, on the right case, there are three buttons, two chronograph buttons are unique and they have a cap, middle crown is screwed down and features correct relief. 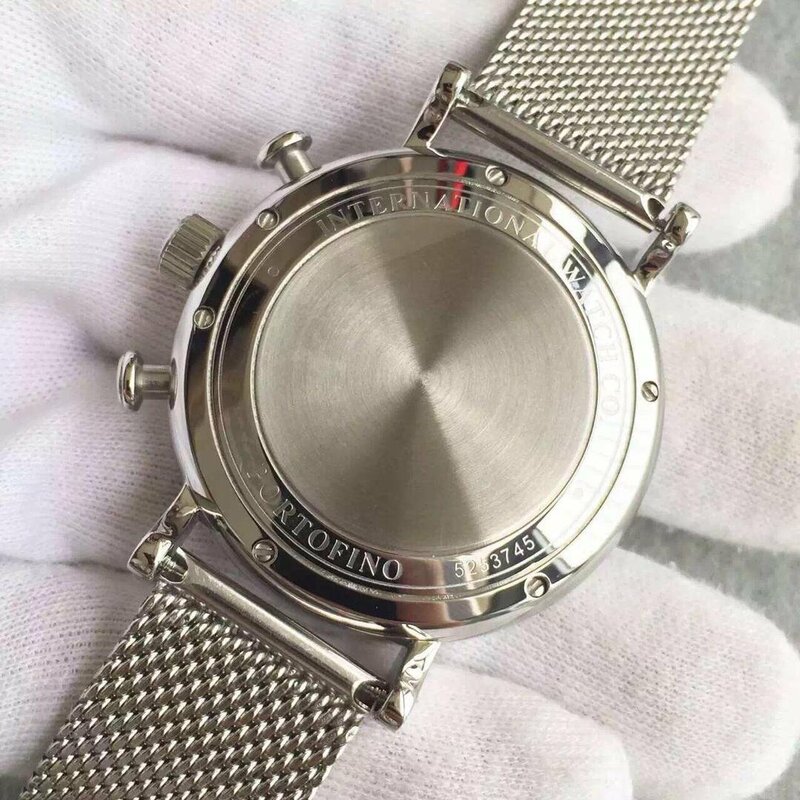 Although the factory has done better than before in crown waterproofing design, I still suggest you take off your watch before going swimming. 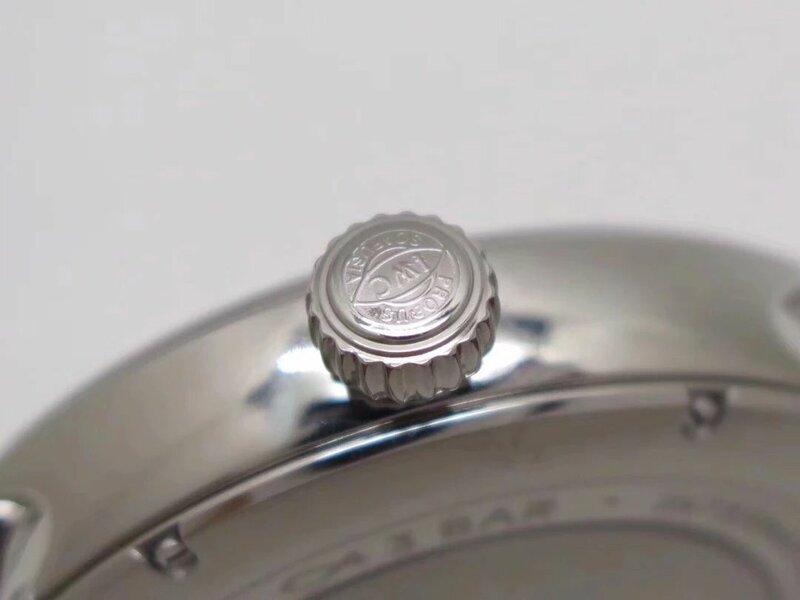 Case back is solid and has screws to lock, the round back on the center is brushed to have radiation patterns, while the edge of the case back is polished. 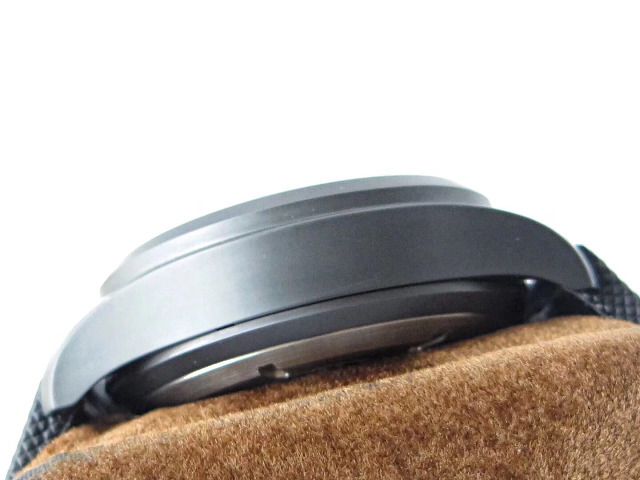 Lugs are very thin but are naturally extended from the case. 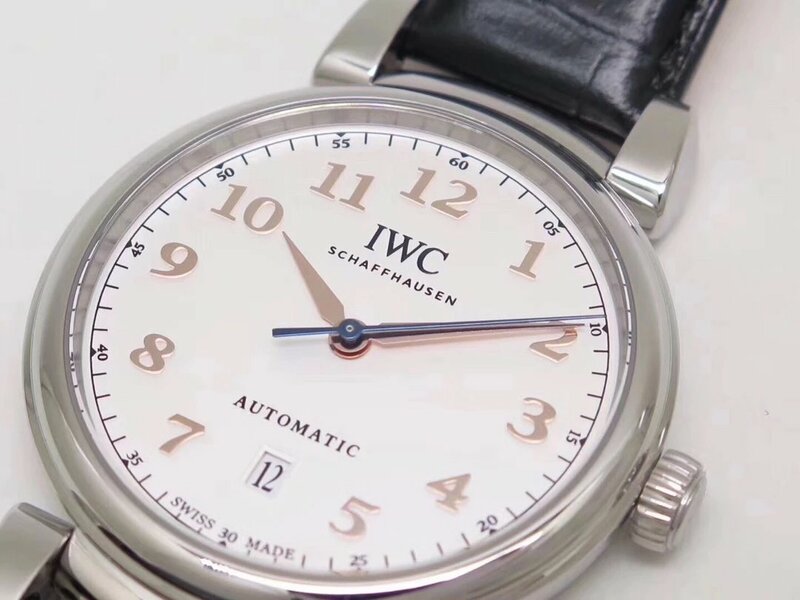 Dial is white, there are three subdials, the one at 9 o’clock is for small seconds display, subdials design is very refined, it is sunken on the main dial while central round part is raised. 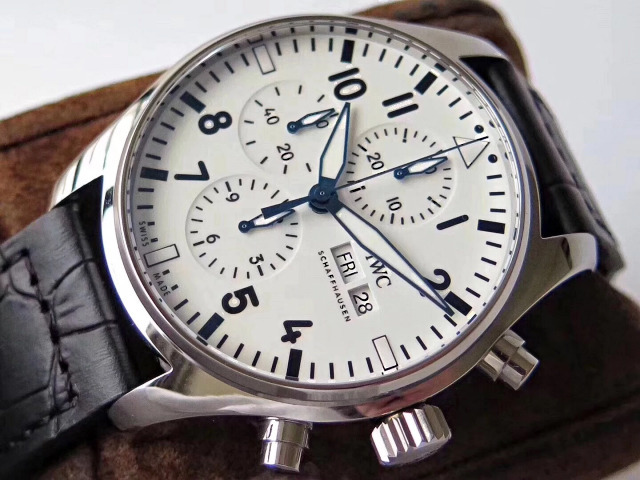 The chronograph function is real, the 30-minute small dial at 12 o’clock is for minute chronograph display, while the 12-hour subdial at 6 is for hour chronograph display. 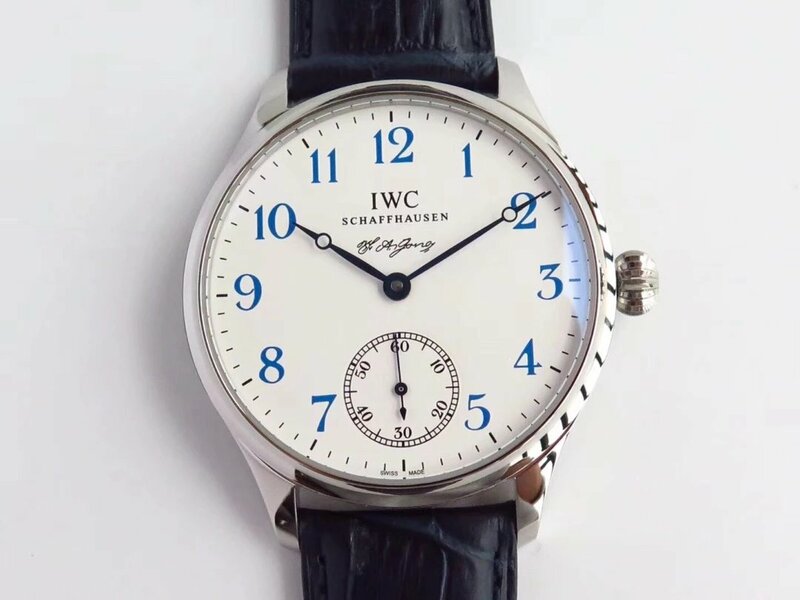 The numbers “30” and “12” on two subdials are in red, very eye-catching and I love this color design. 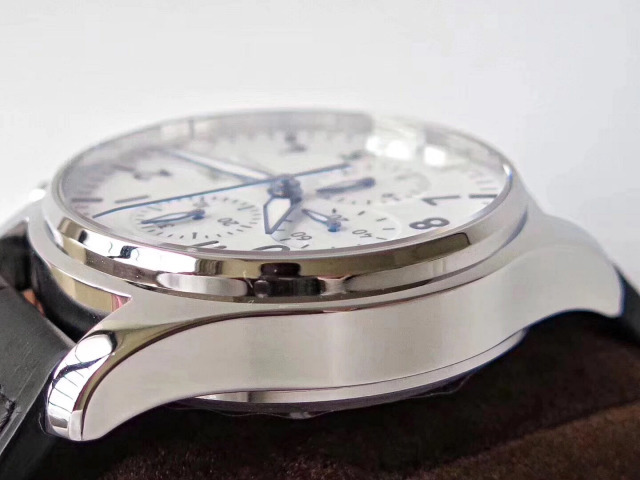 Hour markers are long and slender, they are bar-shaped and in white silver like case tone. 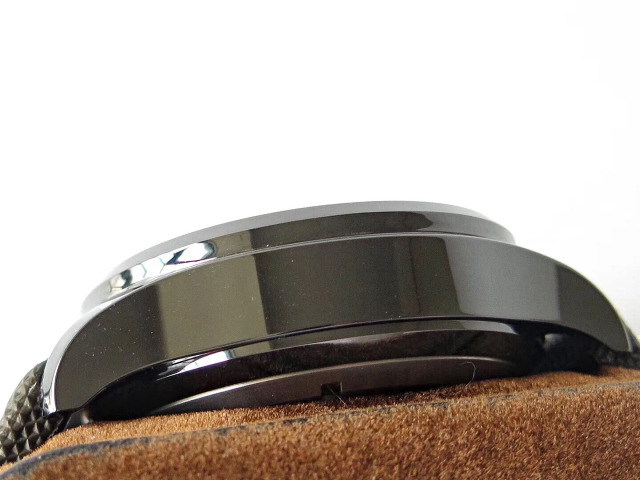 On the left side of 3 hour marker, there are two square windows that are showing you current week and date in black font. 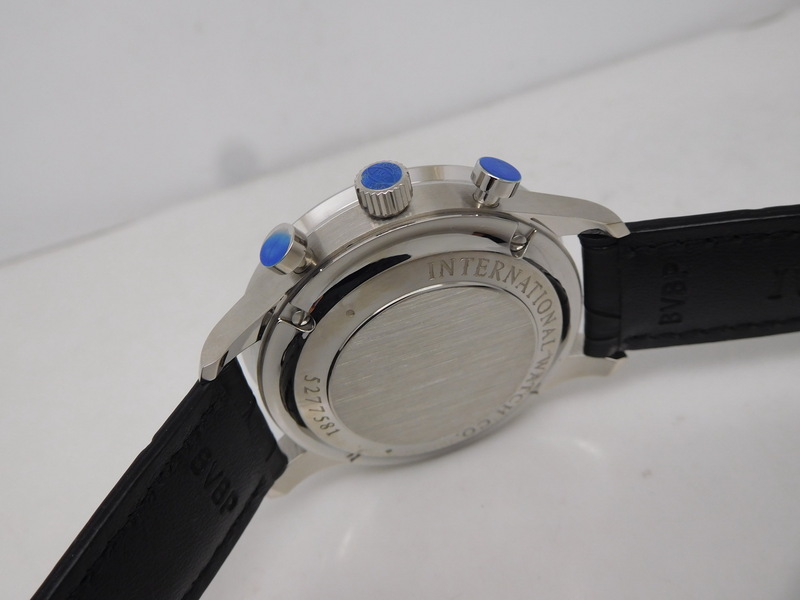 In a word, too many elements are shown on this dial, but they never affect its readability. 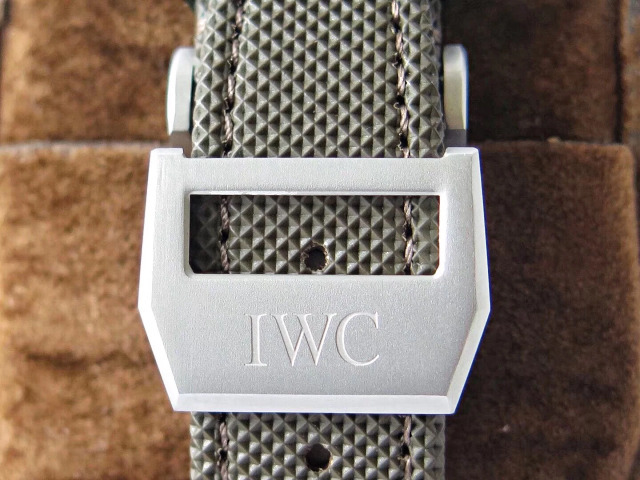 The mesh steel bracelet is one of iconic features of IWC Portofino, actually some Breitling watches also use mesh bracelet, but not as classic as on Portofino. 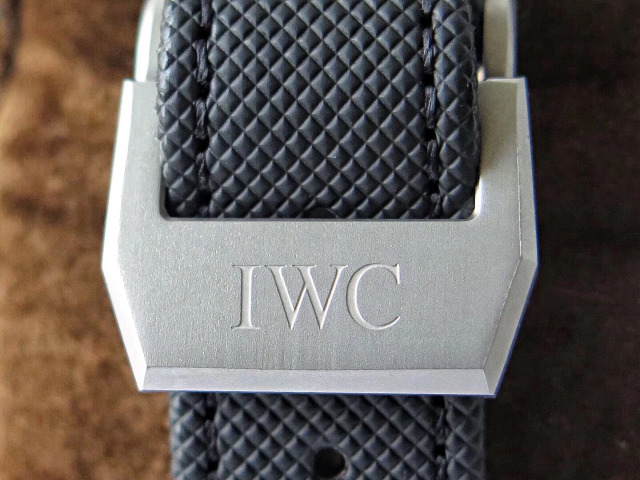 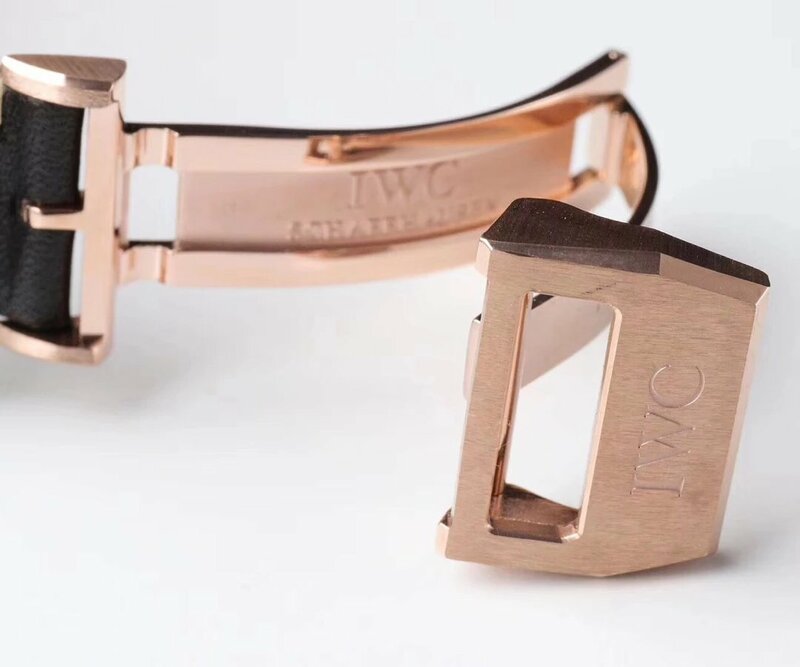 The bracelet is equipped with a polished deployant clasp that features “IWC” engraving. 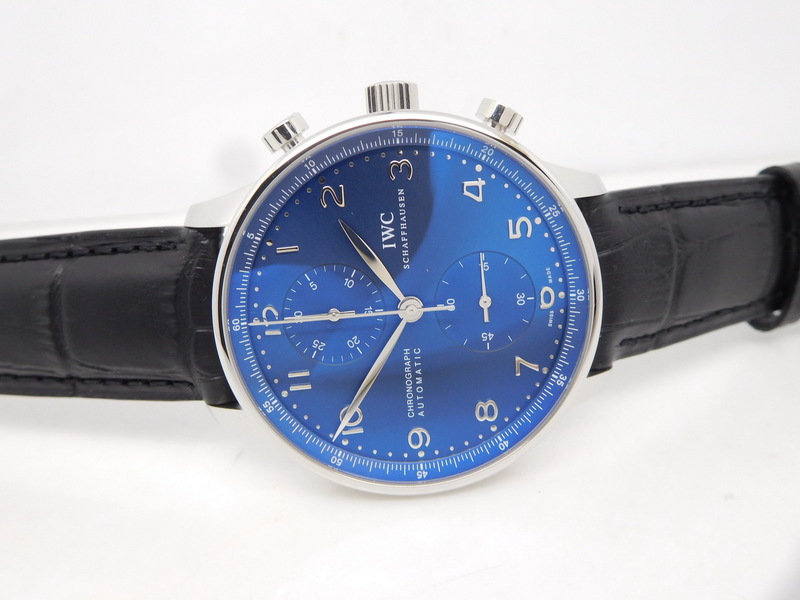 Here are brief details of the IWC Portofino chrono watch. 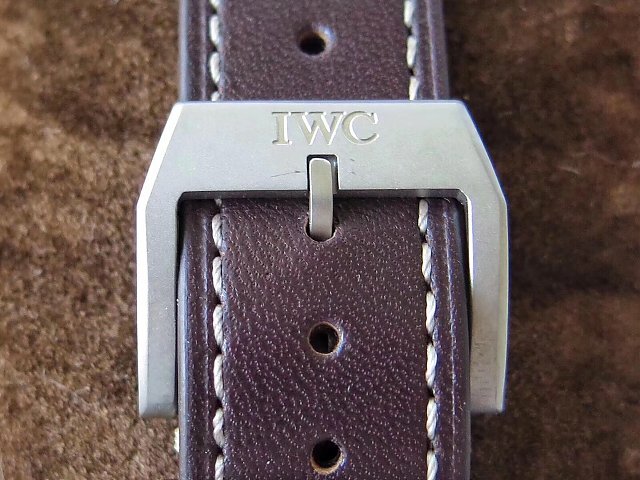 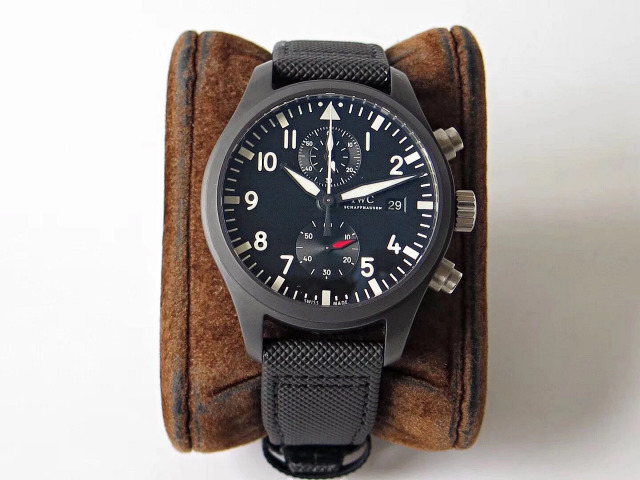 YL factory makes good quality replica IWC watches like Z factory, while YL is not as popular as ZF because they do not make other brand replicas like Panerai, Tudor and so on. 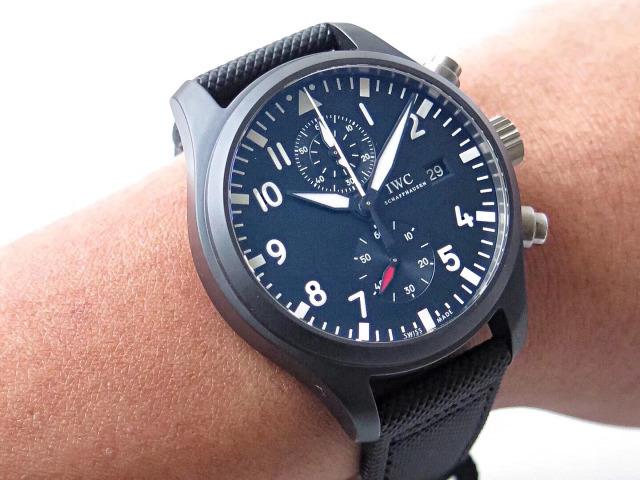 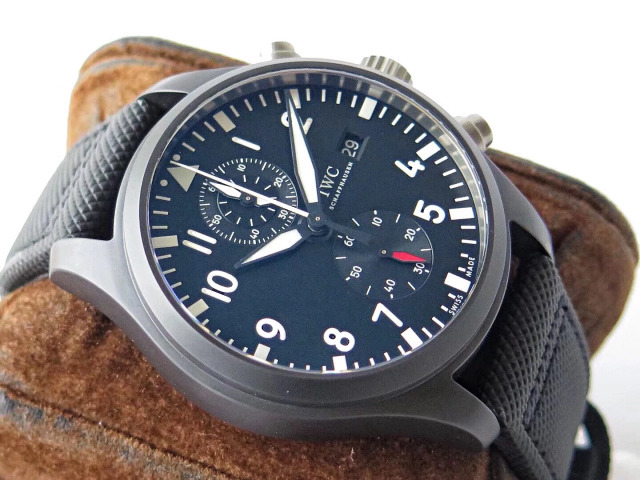 This IWC Big Pilot watch is introduced in the latest 2018 SIHH, it integrates all functions you want in a watch. 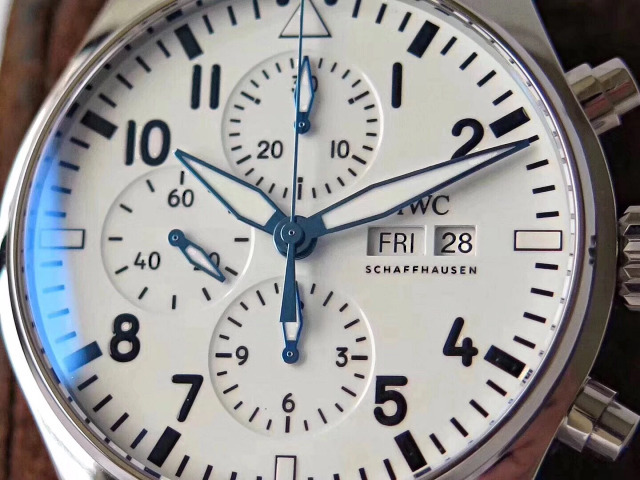 Some people said there are too many windows on the dial, which have destroyed the balance of watch beauty, but I think it is more practical with these functions. 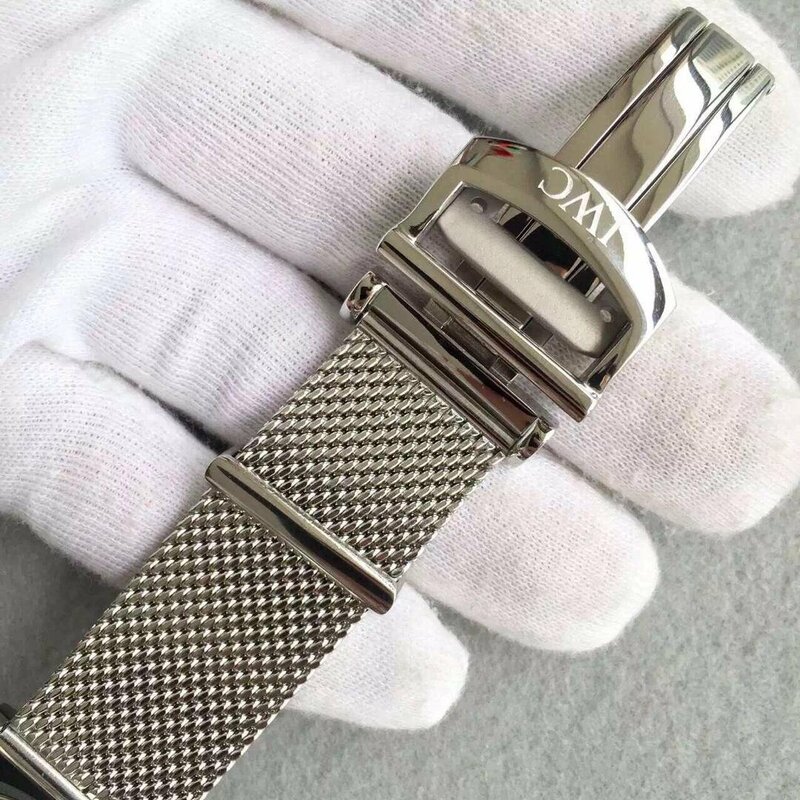 On the replica, it has the same functions as real watch, month, date, week, power reserve, they are all real. 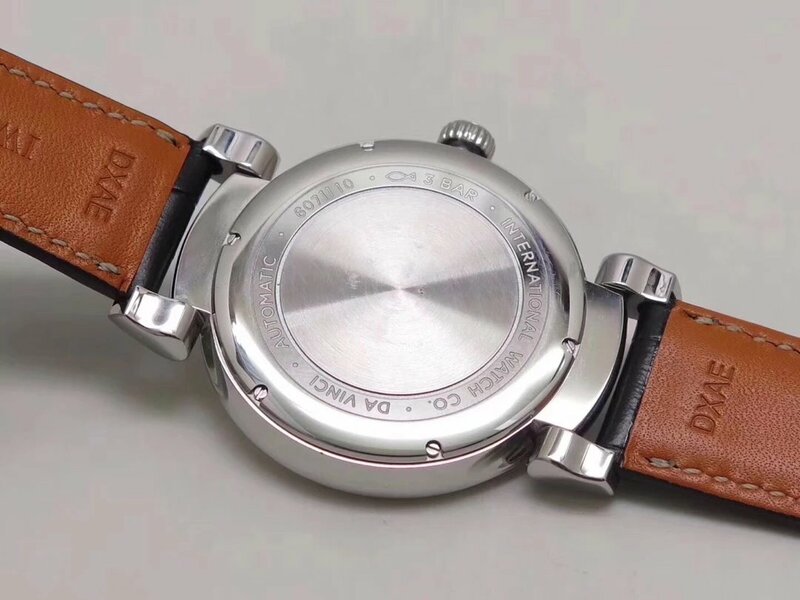 By the way, the 7-day power reserve is working the same as genuine watch, but the replica does not have that long power reserve, the clone movement only offers 3-days power reserve capacity, but that has already been amazing for a replica, because in the past it is not able for a watch factory to make such a replica with a long power reserve due to technology limited. 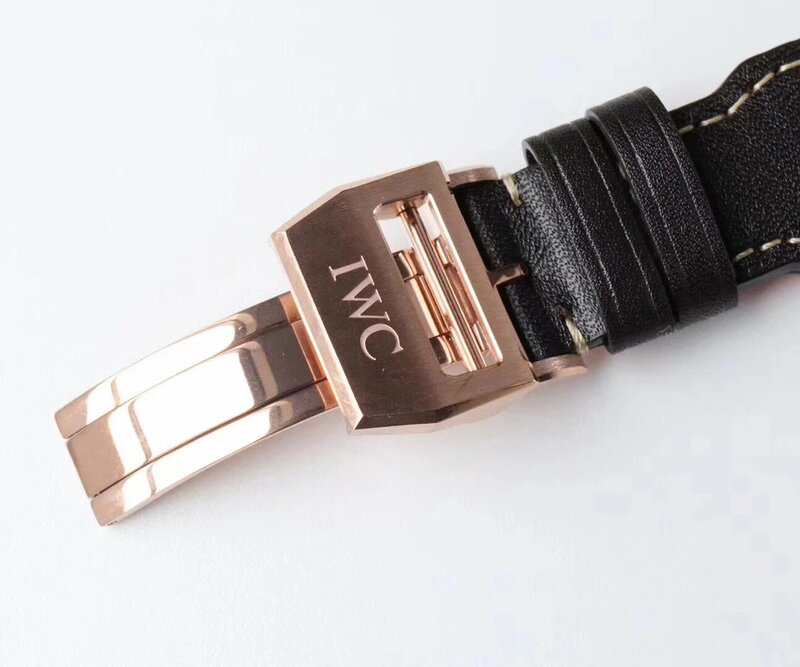 The case is made of 316L stainless steel and then has 18K rose gold coating plated, the gold coating is thick, which is almost 5 mils. 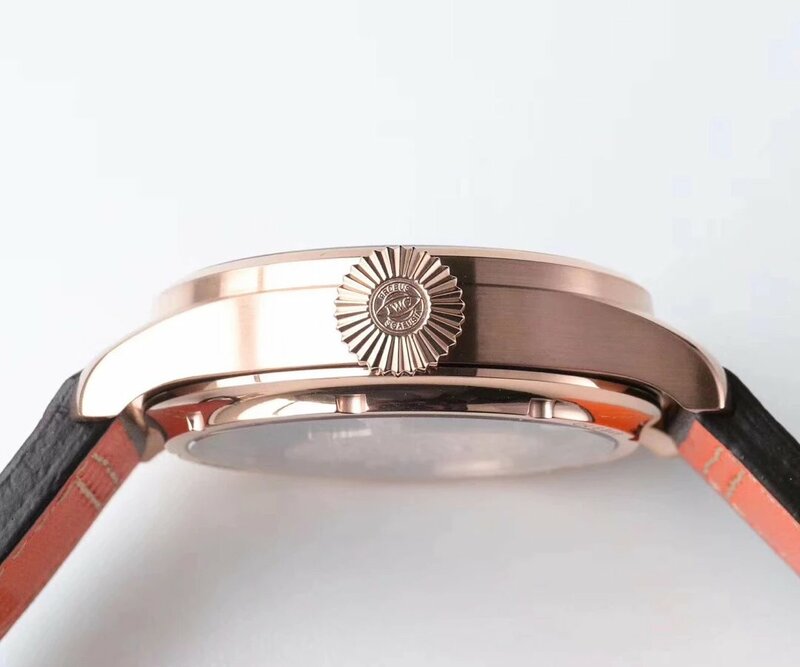 You must concern whether the rose gold coating will fade or not, I must say yes, even gold coating on genuine watches will fade, but on the replica, it will keep its gold tone after two years of wearing, that’s enough for us. 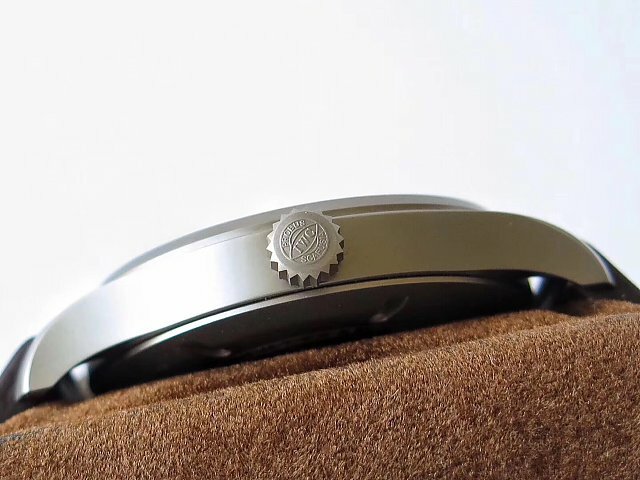 The case has a very big diameter, which is 46mm, even though the case is brushed very well, but check its case edge, it does not feel as smooth as replicas made by ZF. 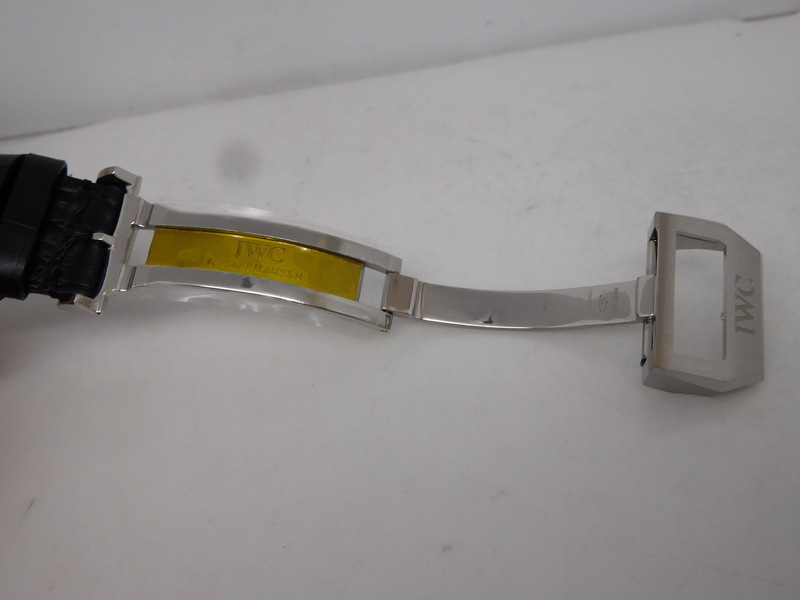 The back is see-through crystal, which uses sapphire like the crystal on the front. 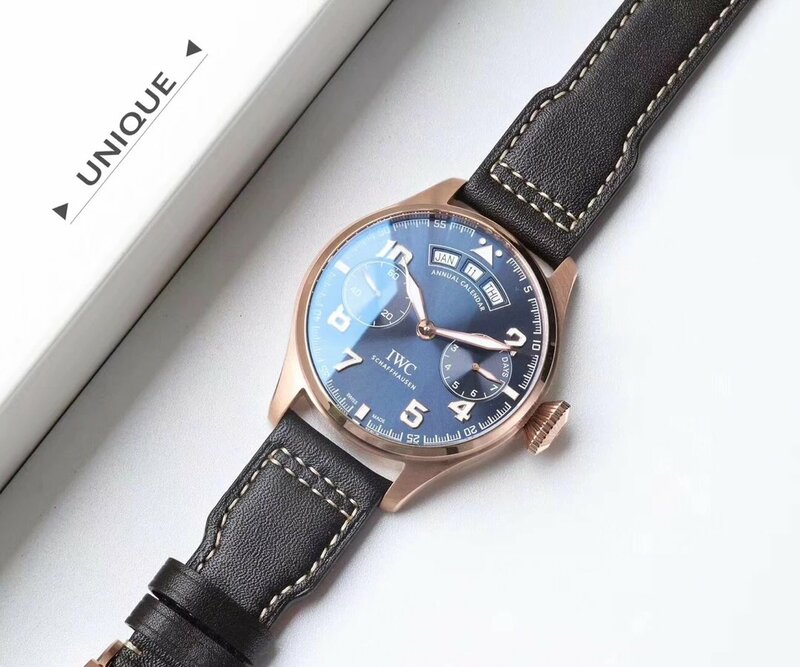 The dial is in blue color, looks very charming. 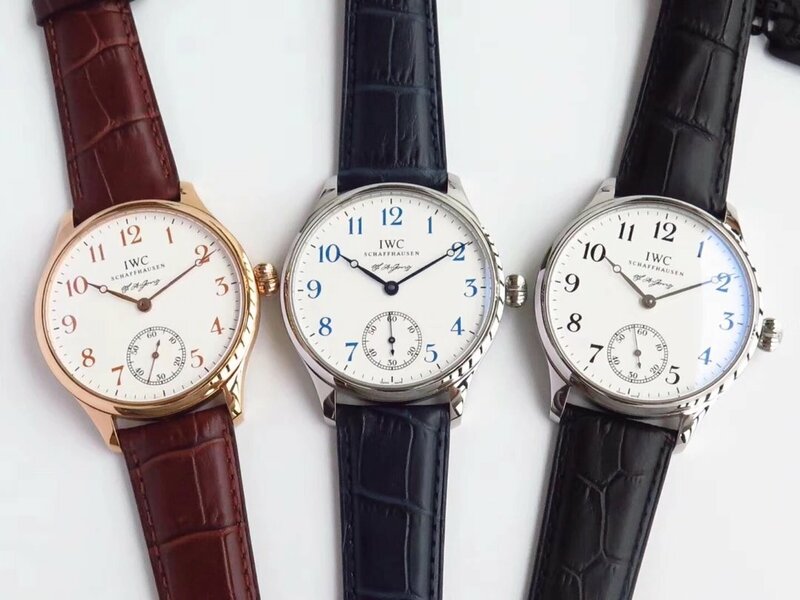 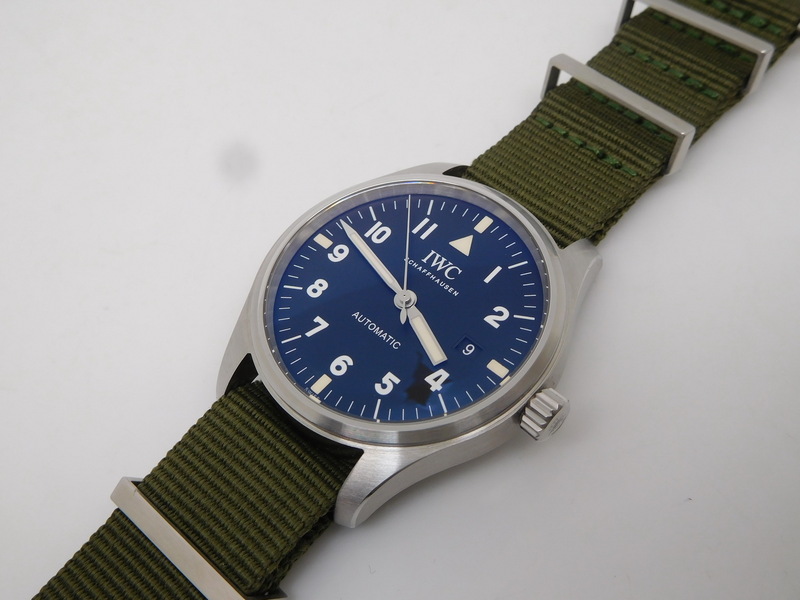 Amazong all IWC Le Petit Prince models, the one with blue dial is the most popular. 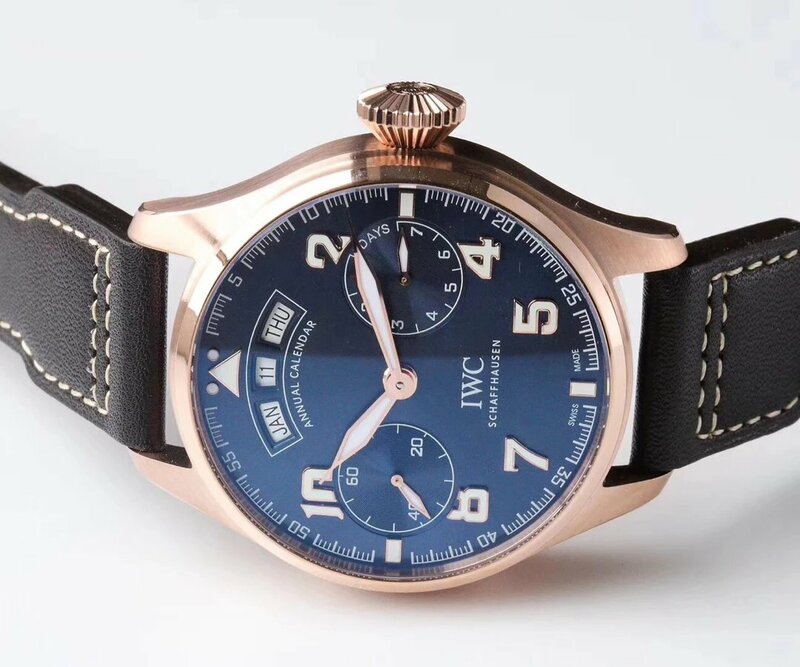 Like the case, hour markers and hands all feature rose gold edge. 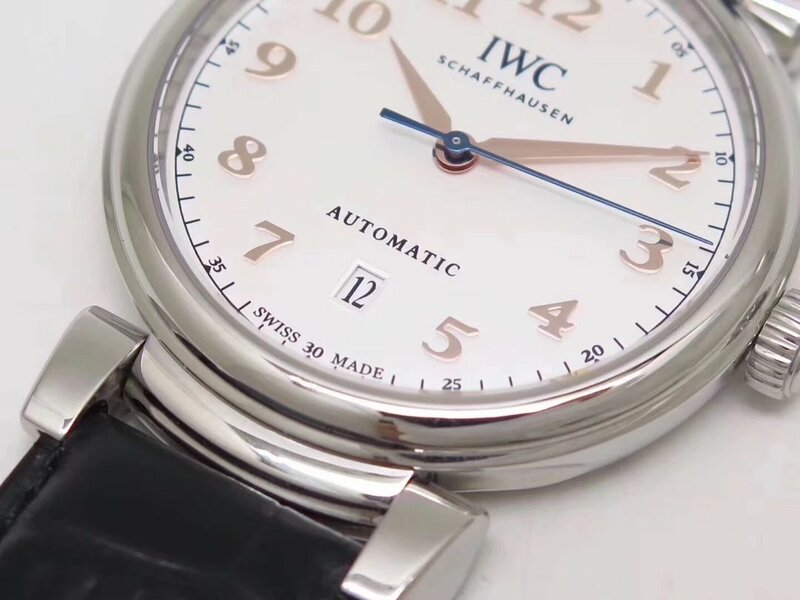 Both subdials have refined circles, the small second hand is runniong on subdial at 9 o’clock. 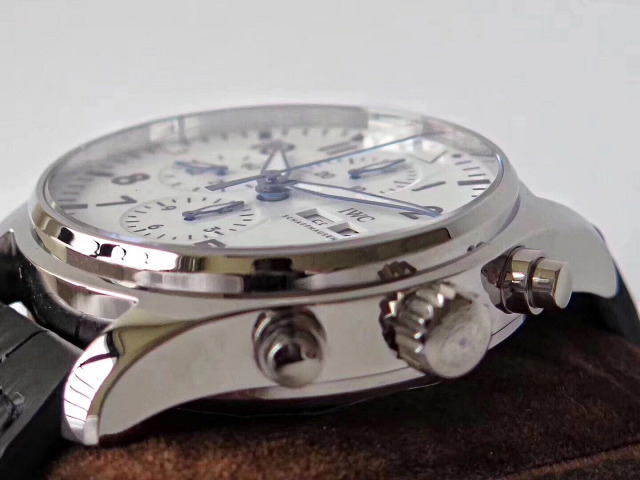 The subdial at 3 is an indicator that is displaying the remaining power reserve. 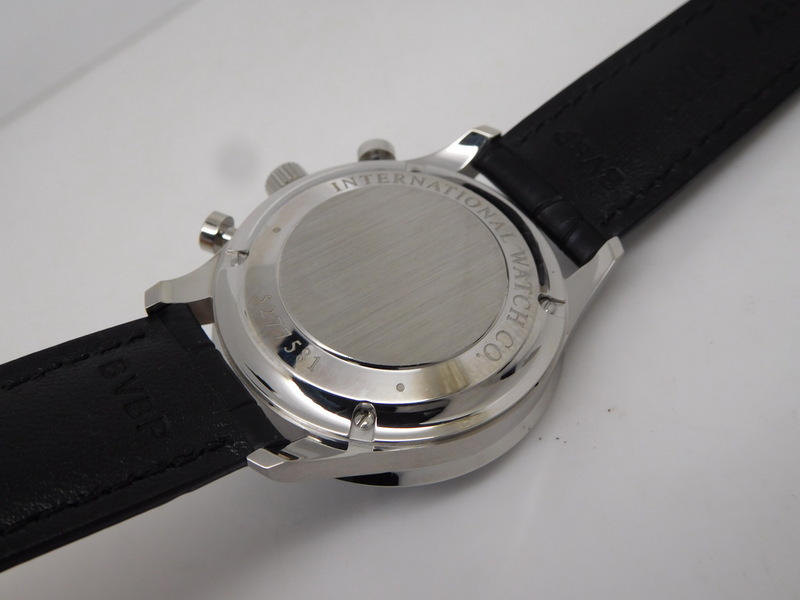 It is marked with 7 DAYS, but the replica has 3-day power reserve. 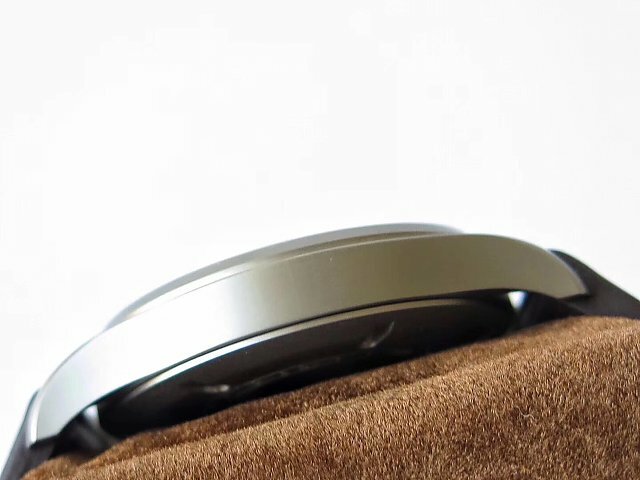 At 12 o’clock, there is a fan-shaped indicator that features three small windows, which displays month, date and week separately. 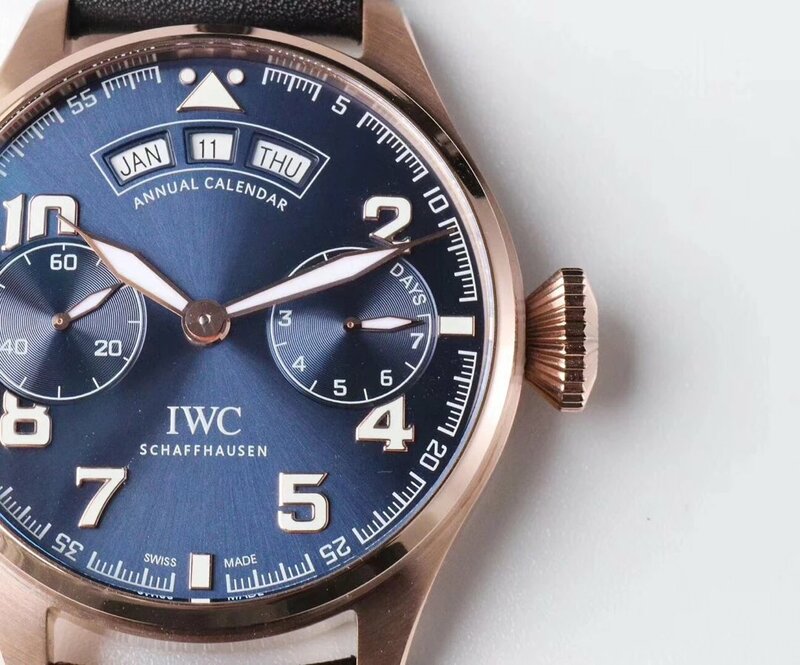 The Annual Calendar function just works the same way as genuine watch. 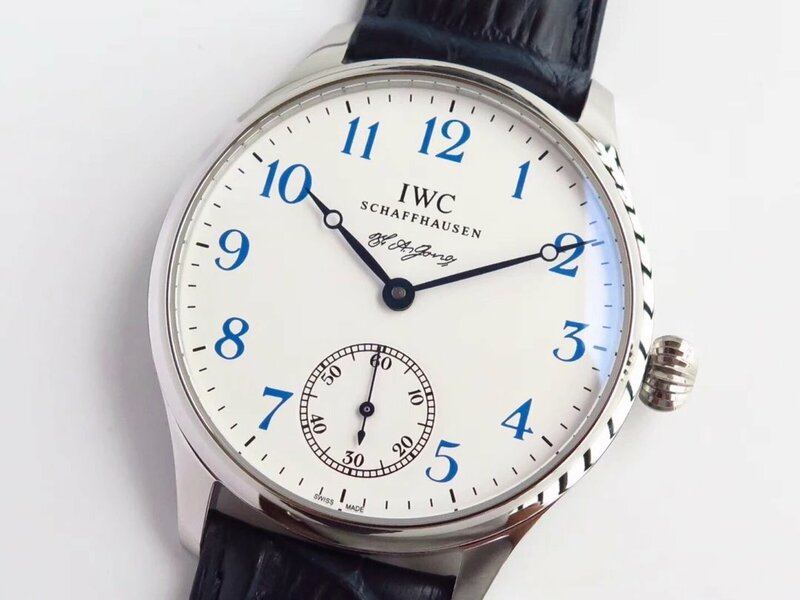 To get a better readability, the replica not only has big hour markers, it also has genuine Swiss lume material applied on markers and hands. 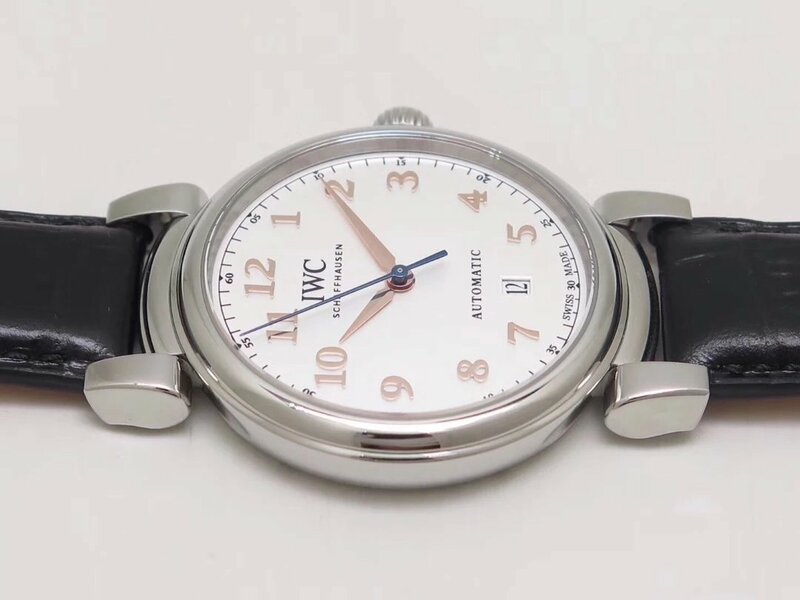 The movement is a clone IWC 52850. 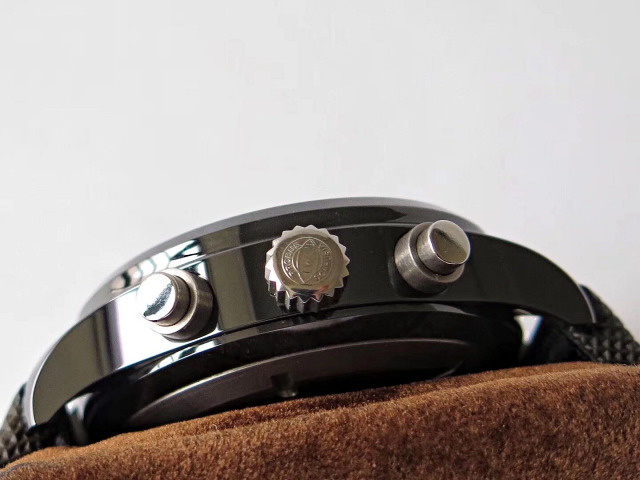 Look at the auto rotor, it is in golden and the prince is standing on his planet, and the planet will rotate as long as you shake your hand. 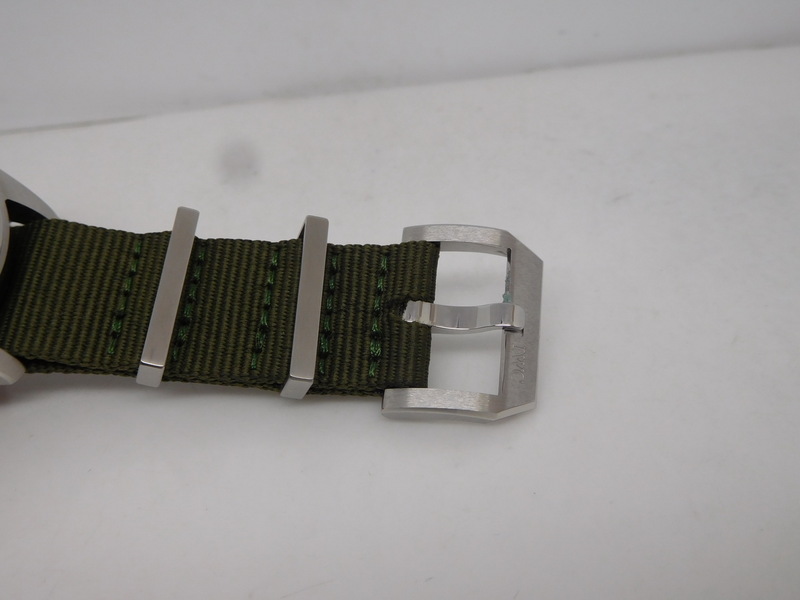 The movement is decorated beautifully, base movement plate has polished Geneve Stripes. 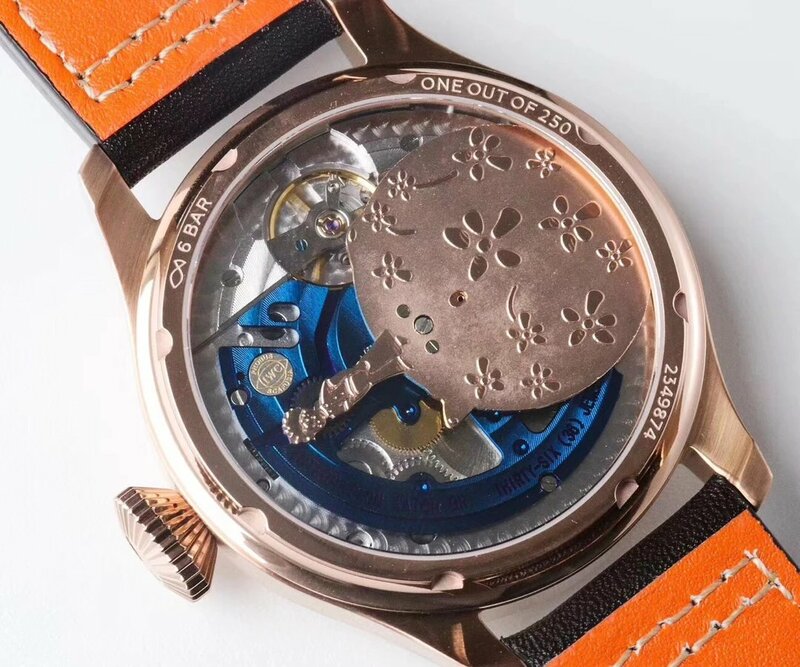 Each plate is cut well and molded carefully by watch master, so they could maintain the stability and accuracy of the movement. 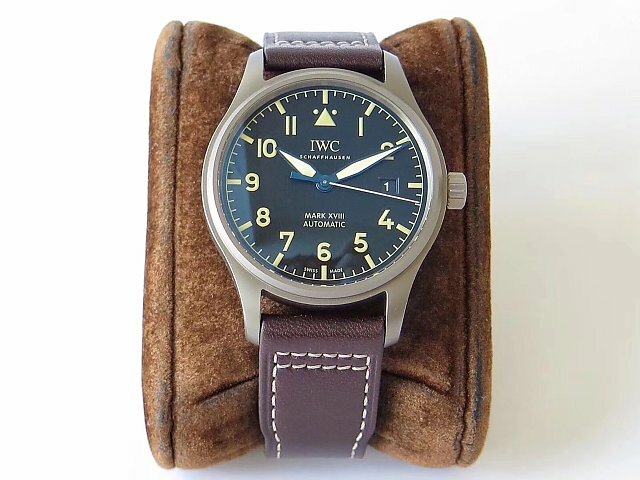 By the way, the replica IWC Le Petit Prince is fitted with a brown leather strap.